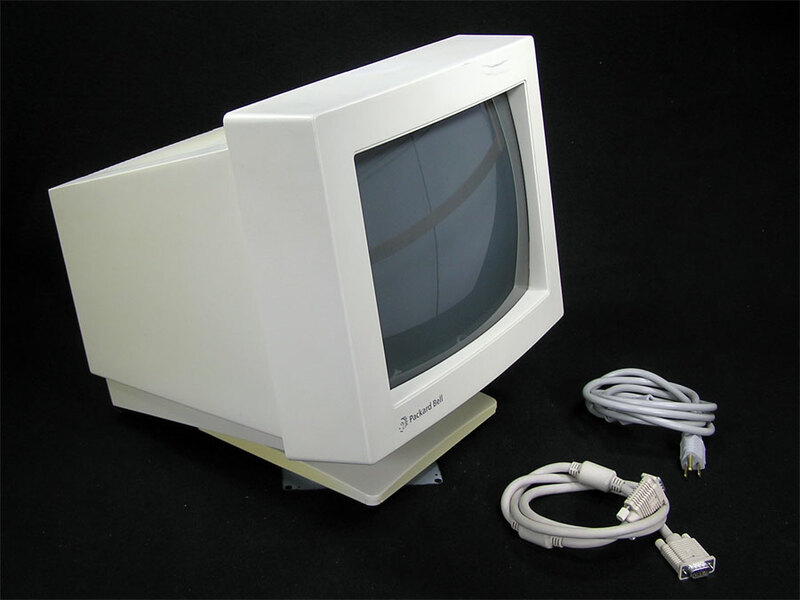 Use the AudioVision Display with any Macintosh that has a Db-15 pin monitor port. This adapter that allows you to use the AudioVision monitor with any Mac with a DB-15 monitor port. It allows you to bring in audio, video and adb. 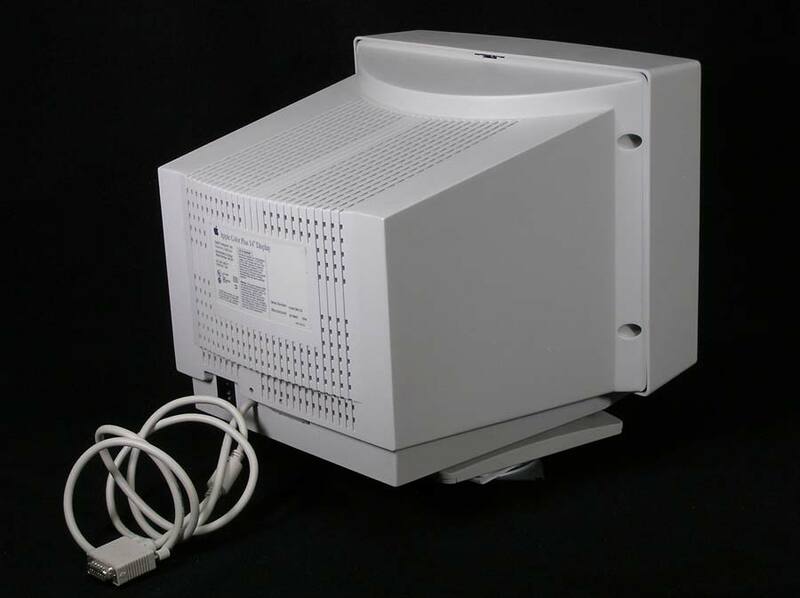 All of which is automatically taken care through the HDI45 port on the 6100/7100/8100 series. 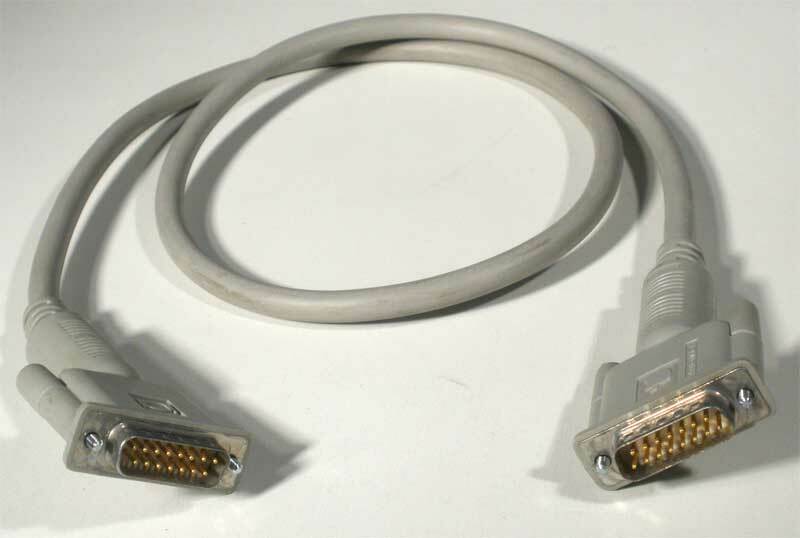 "Q: What is the Integrated Desktop Cable (IDC)? 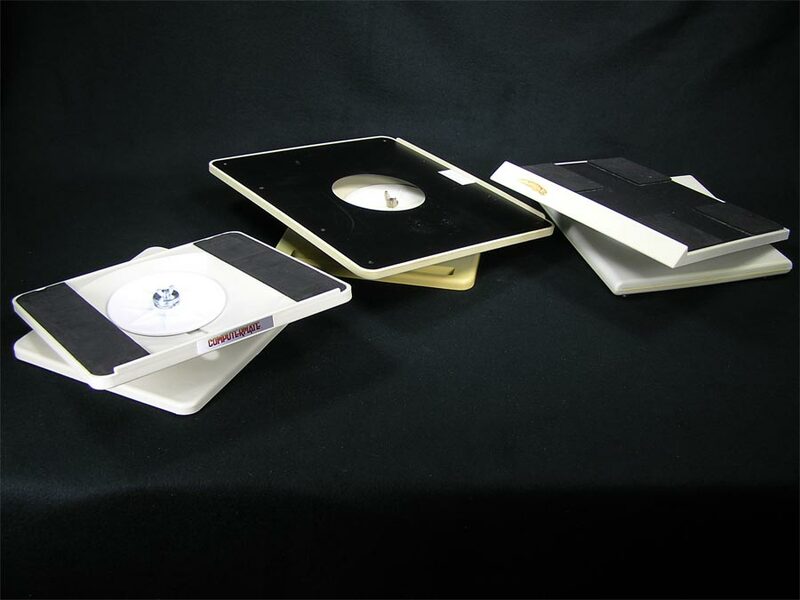 Q: When do I need the AudioVision Adapter? 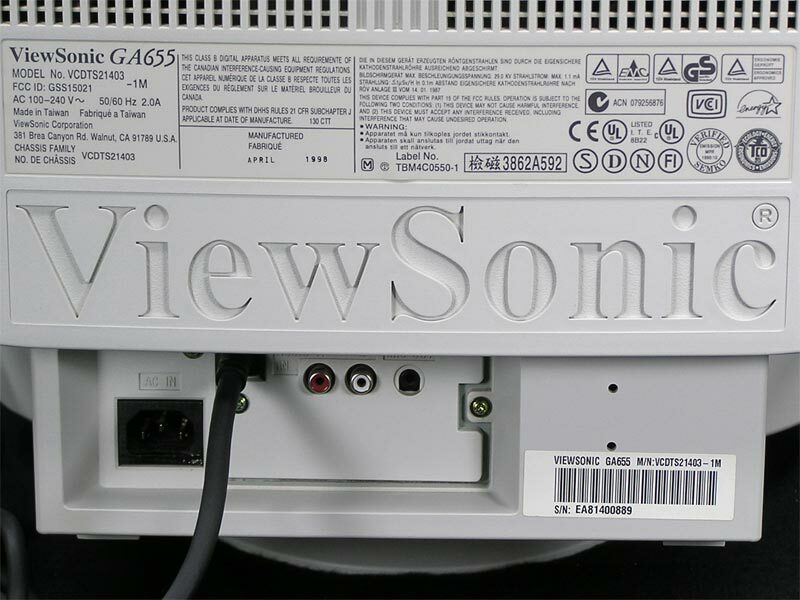 desktop cable and, therefore, will not require the AudioVision adapter." 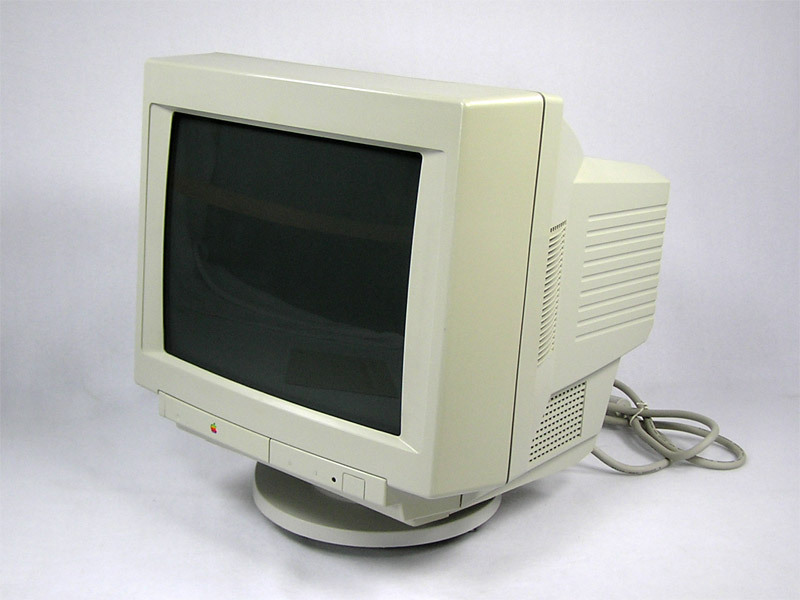 The Apple Basic Color Monitor, Model M1595LL/A features a color 14" screen, and a resolution of 640x480. 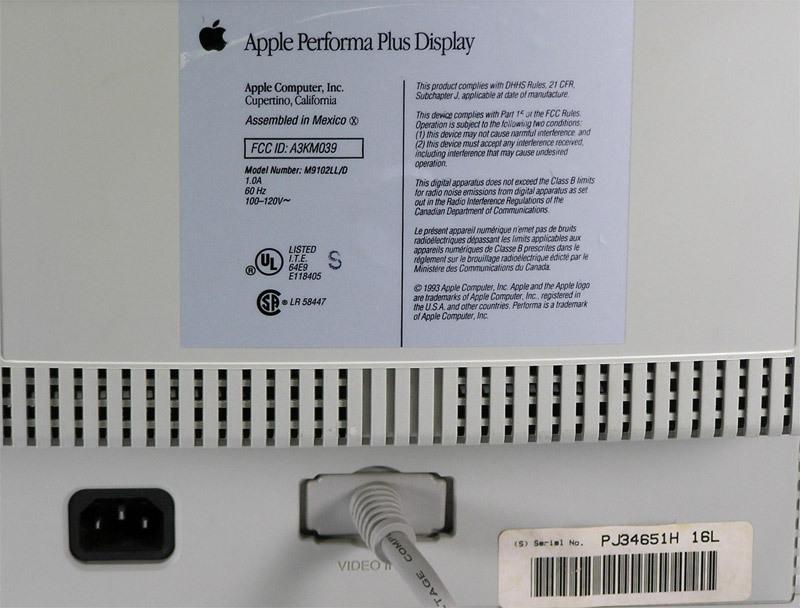 This Display has a VGA 15 pin interface cable. 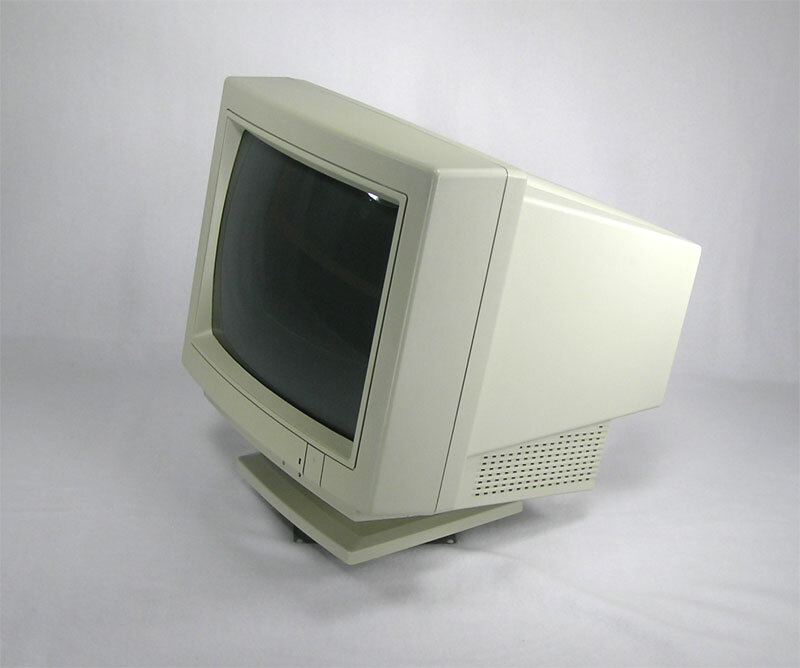 This Monitor has light discoloration and numerous scuff marks. 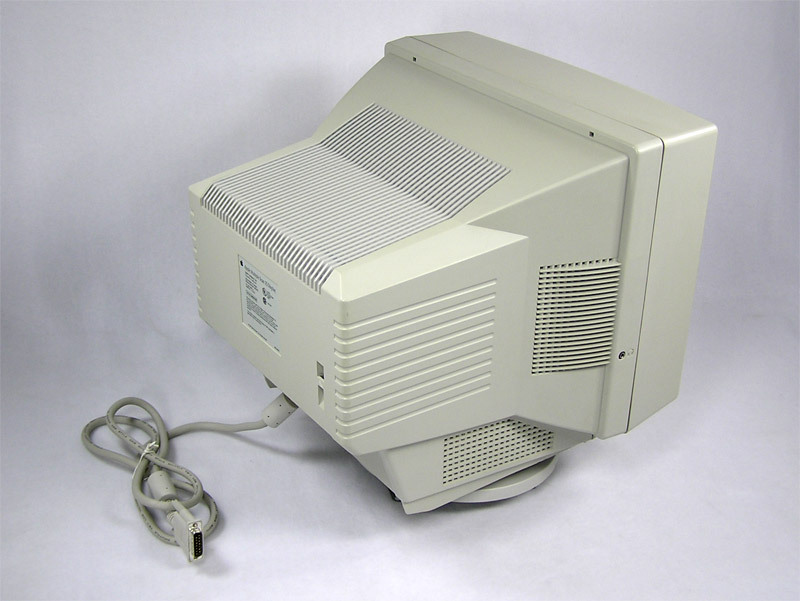 Monitor cable is built in and a power cable is free upon request if needed. 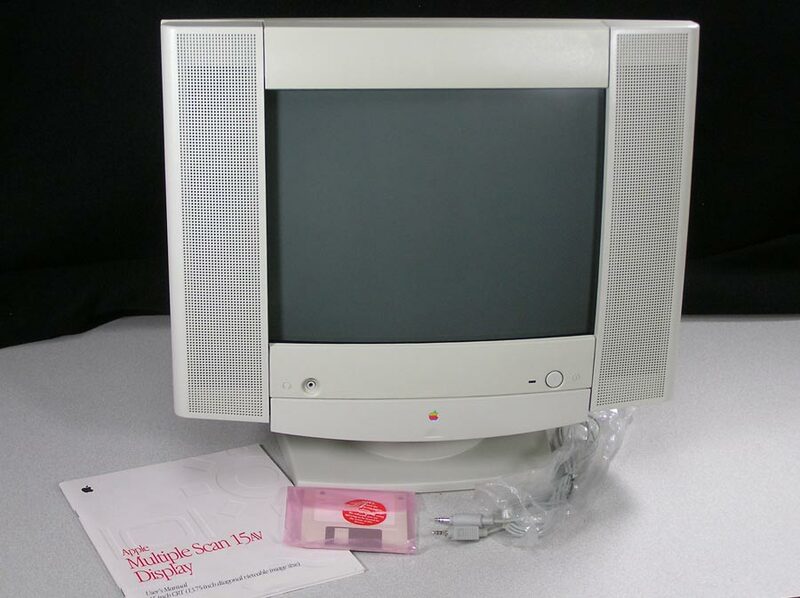 I just came across the Apple box - no packing materials for this monitor. It had been repurposed for someone's move (marker writing only on top) and the serial numbers do not match. Contact me if you would like it. It may all need to be put inside another box for shipping - so would add a couple pounds. 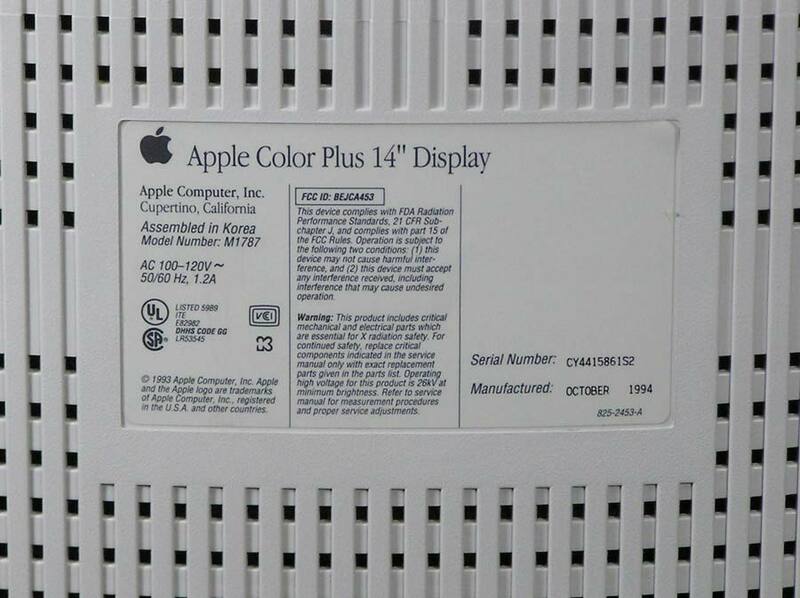 The Apple Color Plus 14" Display, Model M1787 features a color 14" screen, and a resolution of 640x480. 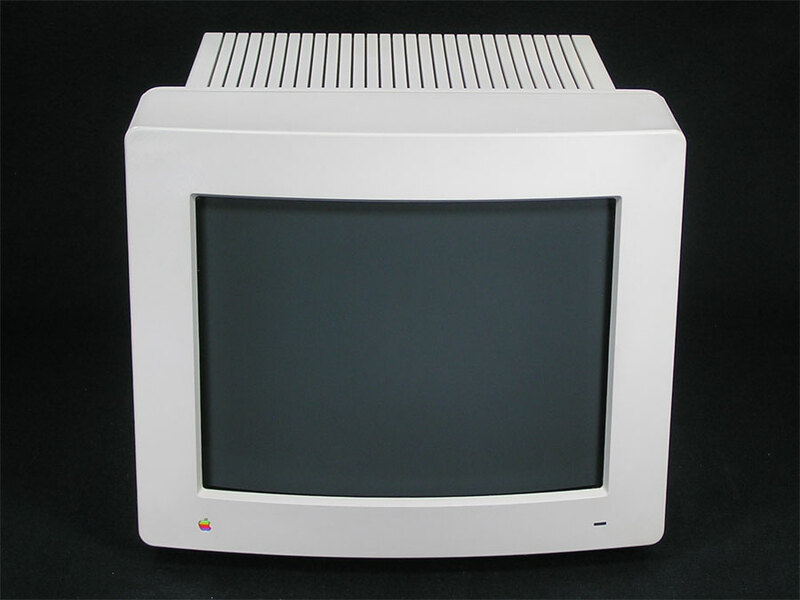 This Display should work with every Mac with a DB-15 15 pin display port from Macintosh II to Beige G3. This Display is in excellent condition. 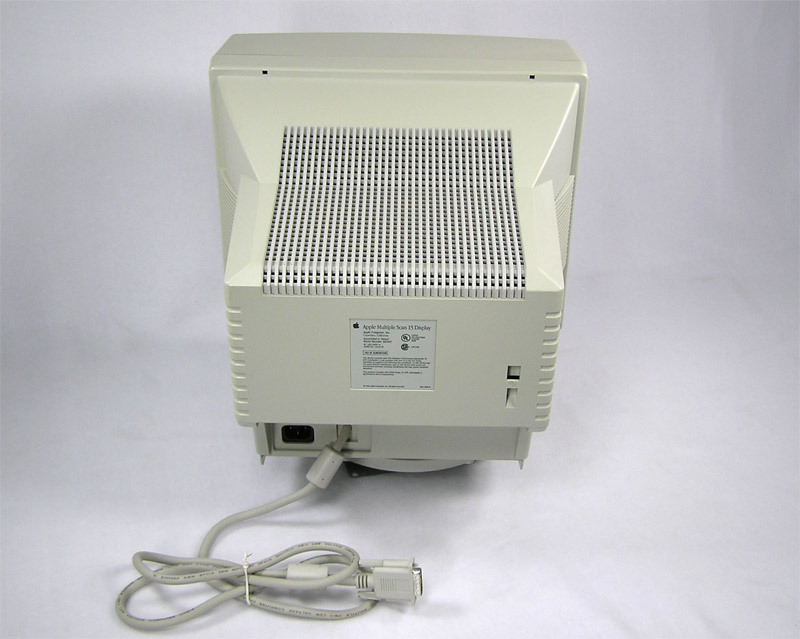 Monitor cable is built in and a power cable is free upon request if needed. 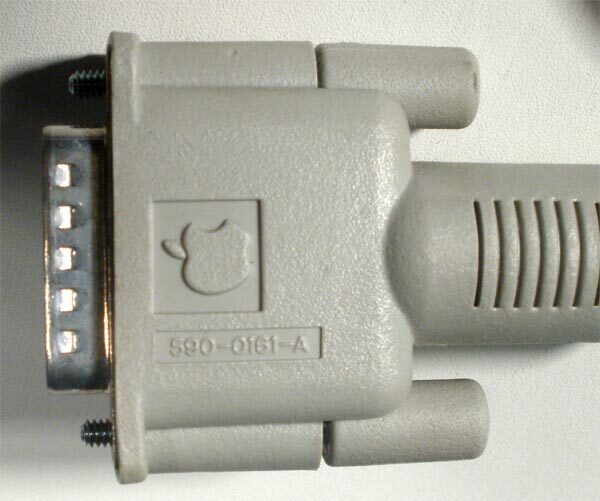 This display adapter is used to connect a standard Apple display to the unique HDI-45 AV monitor port on the back of the following Macs: Power Macintosh 6100 Series , 7100 Series, 8100 Series, Performa 61XX Series, Workgroup Server 6150 Workgroup Server 8150. 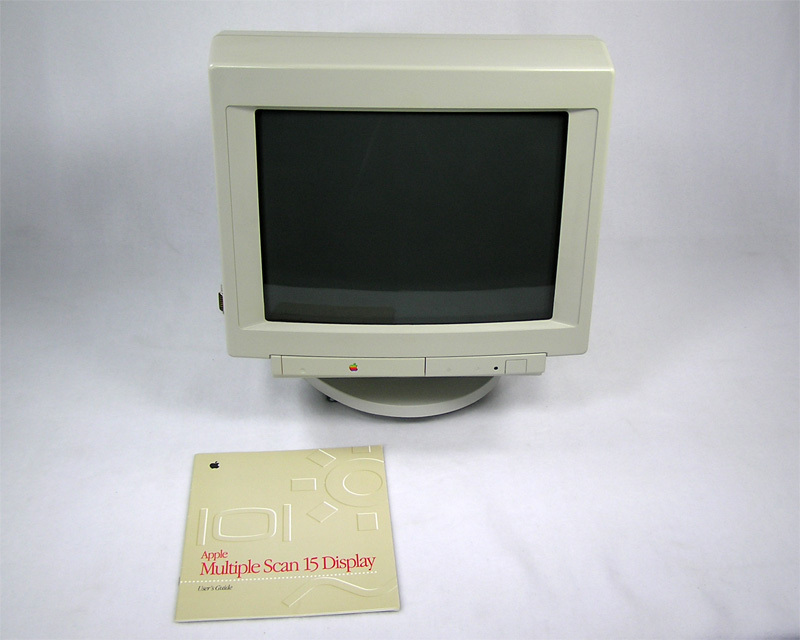 The Apple Multiple Scan 14 Display, Model M4222 features a color 14" screen, and a resolution of 640x480, 800x600 and even 832x624 on some computers. Also features stereo speakers! 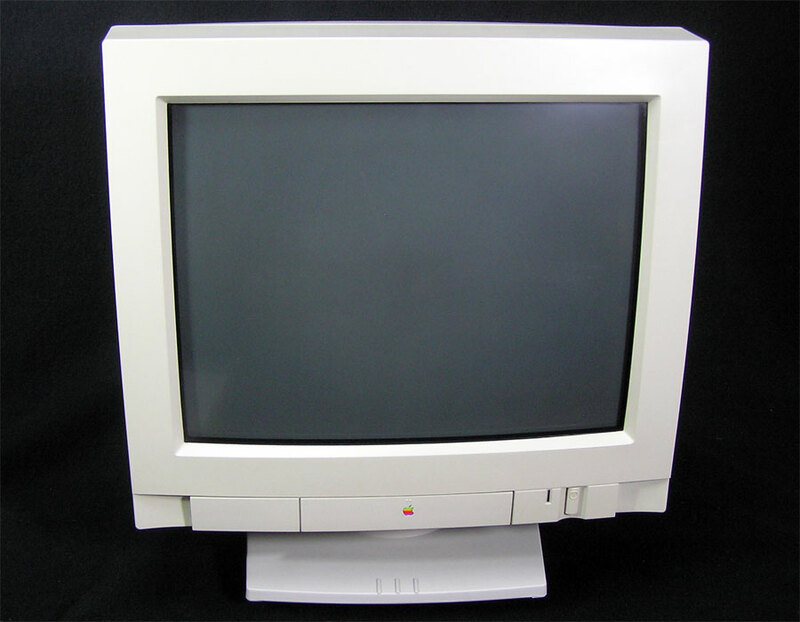 This Display should work with every Mac with a DB-15 15 pin display port from Macintosh II to Beige G3. 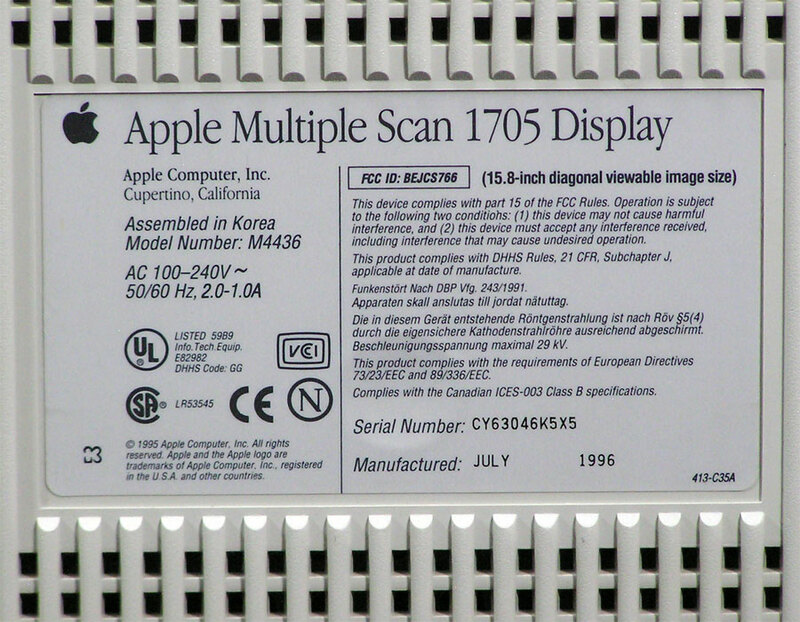 The Apple Multiple Scan (MultiScan) 15 Display, M2943, is a 15" Shadow Mask CRT color monitor. 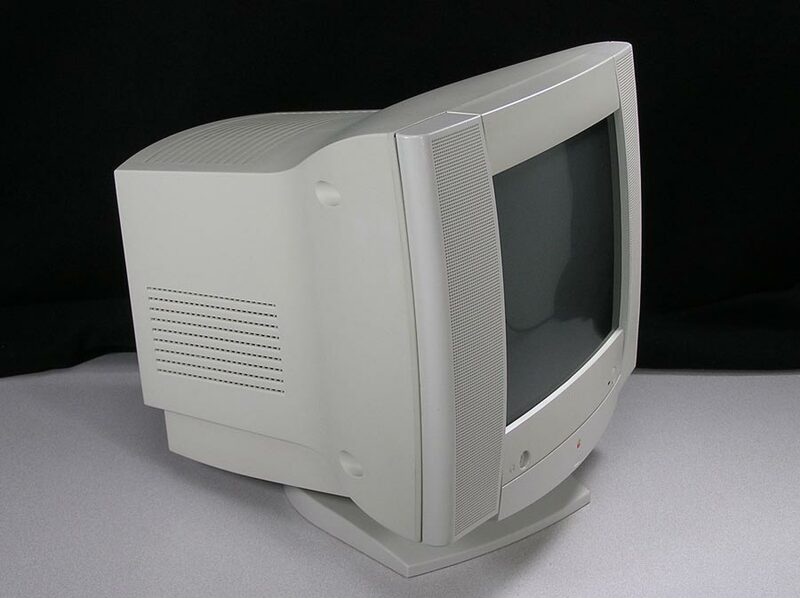 Features optimized screen resolutions (640x480, 800x600,832x624,1024x768), and a tilt-swivel base that allows the monitor to be positioned for optimal viewing comfort. 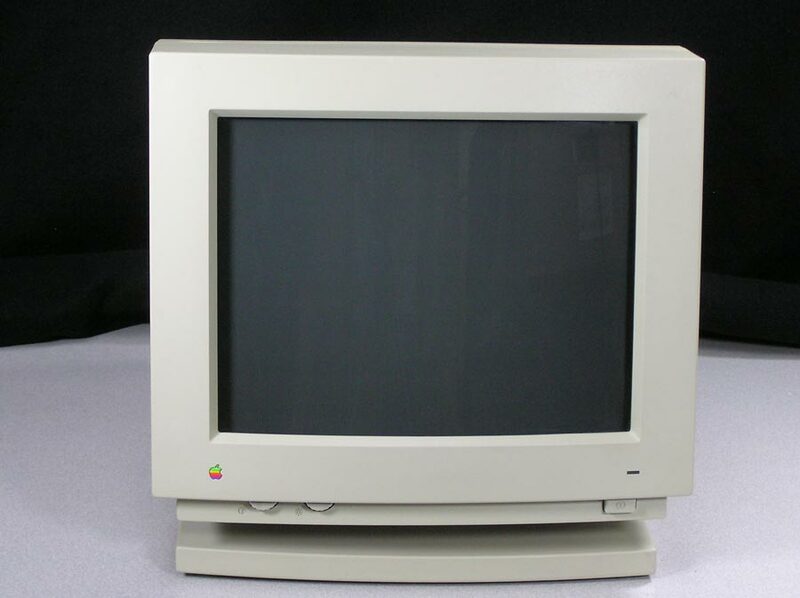 This display should work with every Macintosh with a DB-15 15 pin display port - Macintosh II to Beige G3. This Display looks and works great! Comes with the User's Guide and power cable by request. Excuse my actual screen picture, I could get a correct color screen only with the monitor looking yellow, or an accurately colored monitor with a purple/blueish tinted screen, so cropped it to show the former. 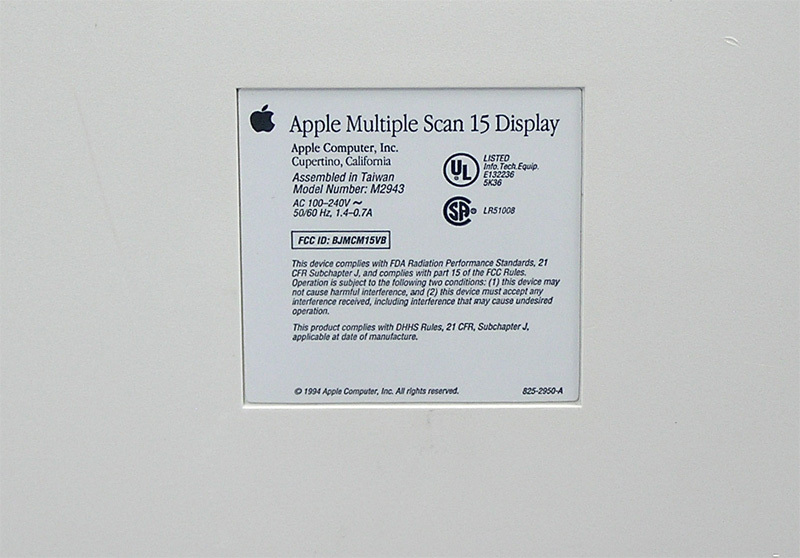 With integrated speakers, this 15" Apple Multiple Scan 15AV Display supports resolutions from 640 x 480 to 1024 x 768. 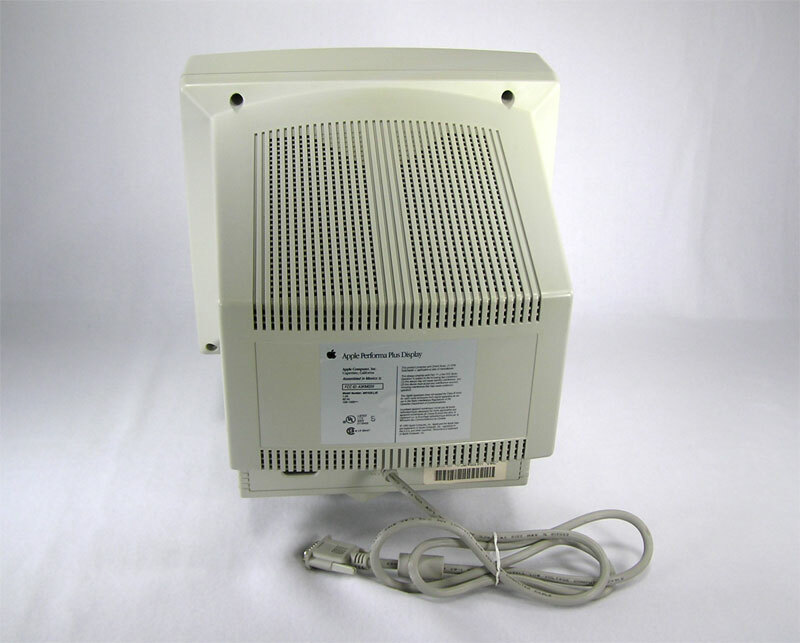 Built in DB-15 monitor cable attaches to the Macintosh monitor port or video card. 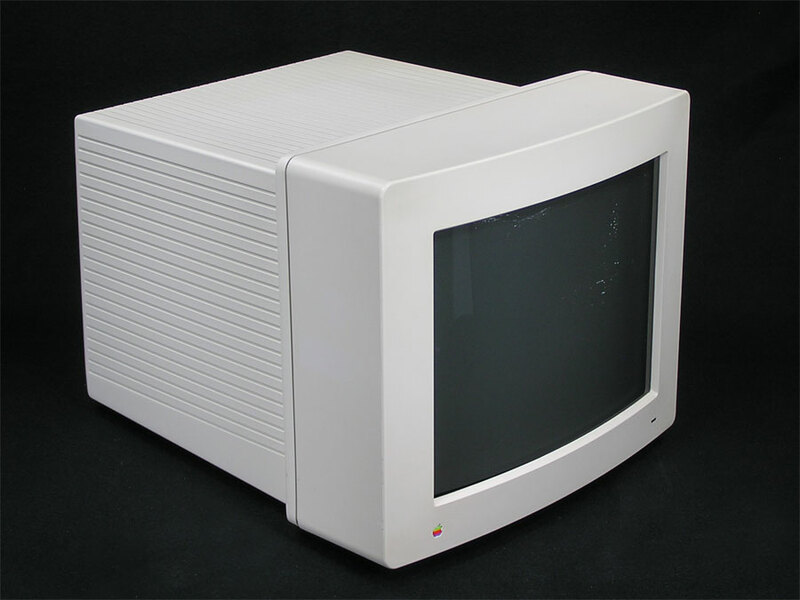 Should work with all Macs from the Macintosh II through the Beige G3. This display looks and works great! 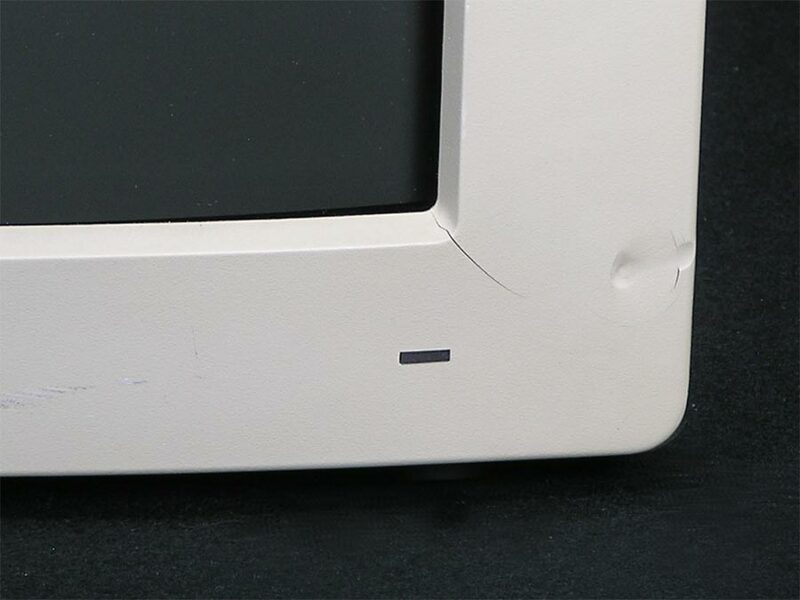 Of course there may be minor scuffs or scratches on the housing, but nothing major. 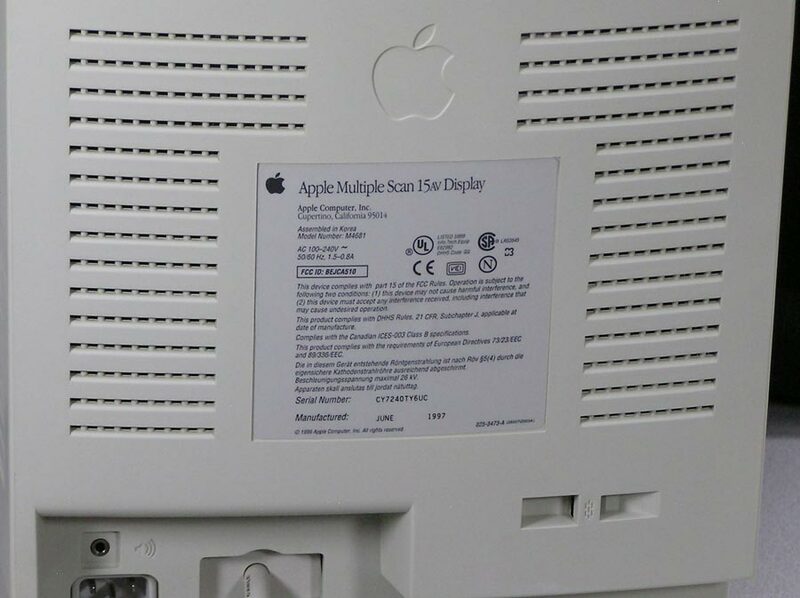 Comes with the User's Manual, Multi Scan software and audio cable to go from the Mac to the Display. Power cable free upon request. This monitor looks and works great! 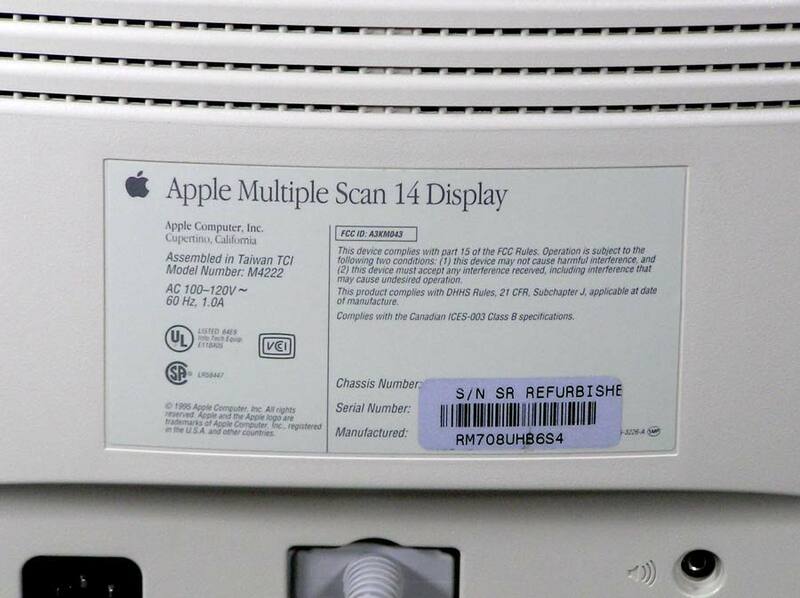 Apple Multiple Scan 1705 Display, M4436 is a 17" shadow mask CRT. 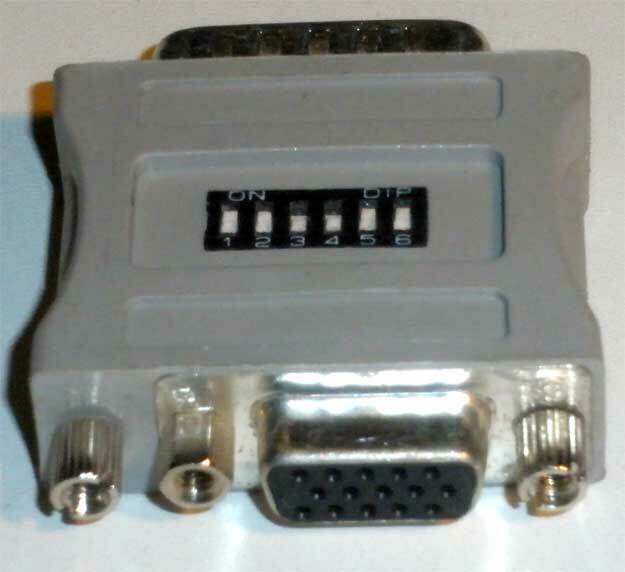 VGA interface instead of the older DB-15 Macintosh port. 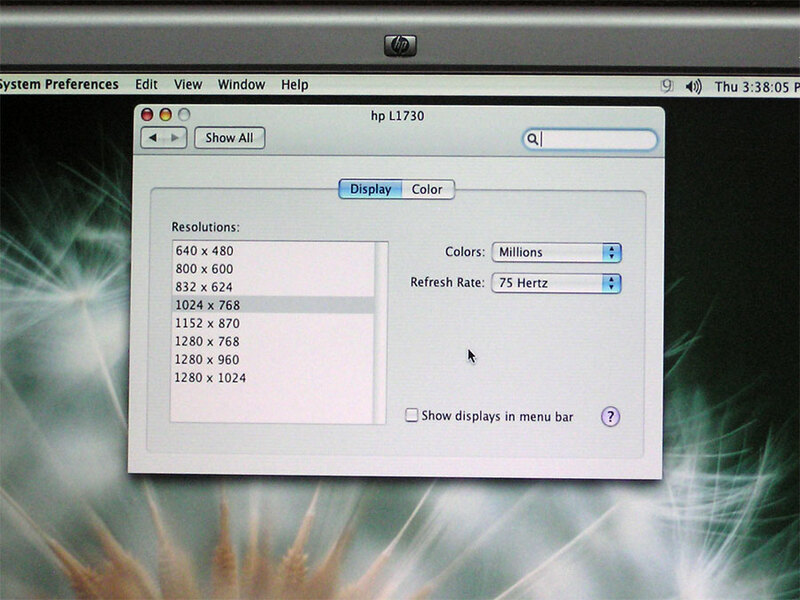 Resolution from 640x480 to 1280x1024. Looks and works great! It has been used extensively here on my 9600. Please leave a note on the checkout page if you need cables, otherwise it will ship without them. Note that local pickup is free. 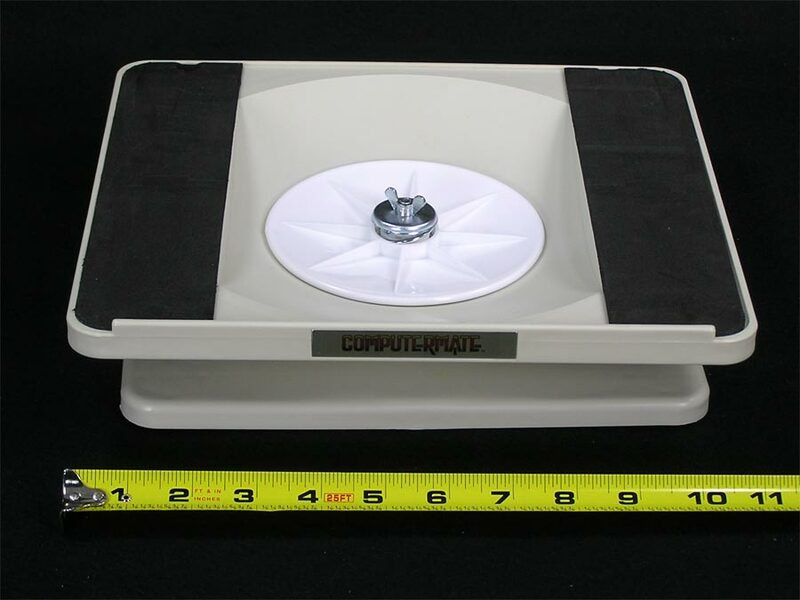 Boxing monitors for safe shipping is a major ordeal and takes a long time. So there is a small fee added to the purchase price for packaging. UPS shipping charge will be calculated at checkout. 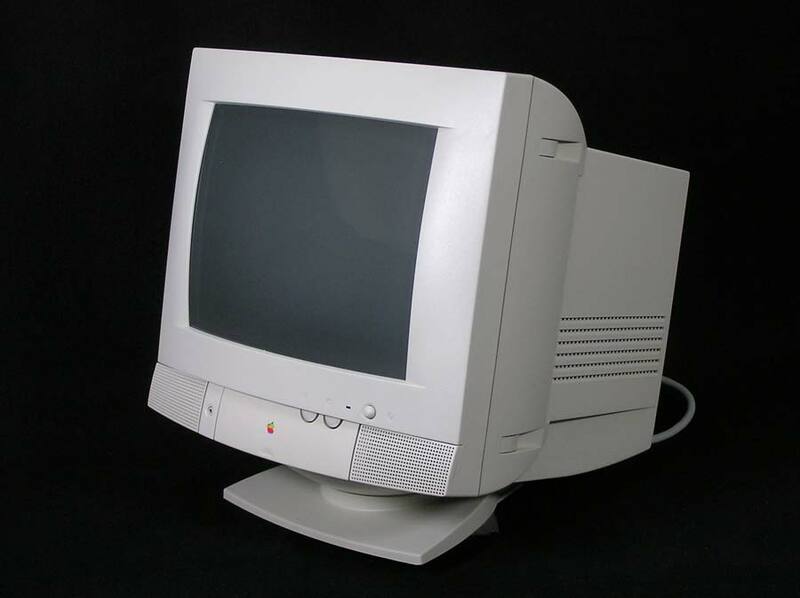 The Apple Performa Plus Display, Model M9102LL/D features a color 14" screen, a resolution of 640x480, 67 DPI, 35 kHz Horozontal Scan and 66.7 Hz vertical Scan. 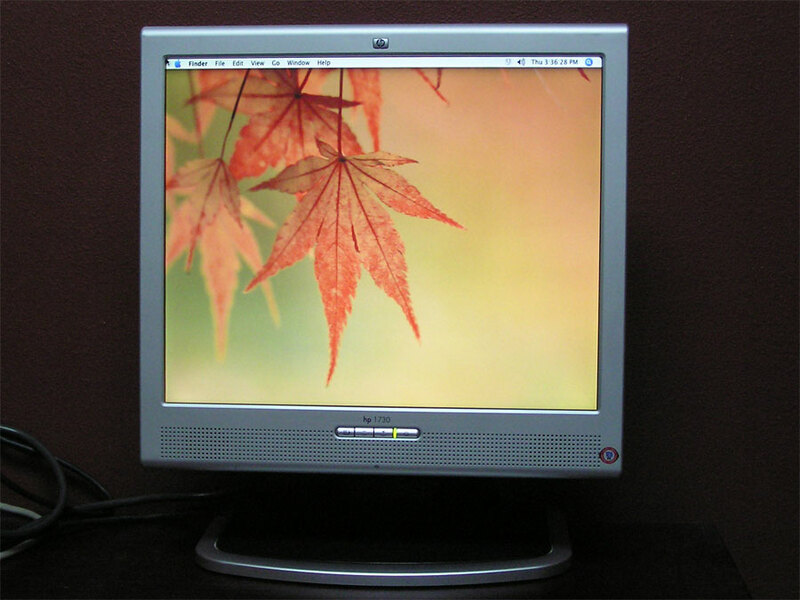 At as few as 16 colors on the early Macs and LC models to as many as 16.7 million colors with some of the Quadras and Power Macintosh, this Display should work with every Mac with a DB-15 15 pin display port. 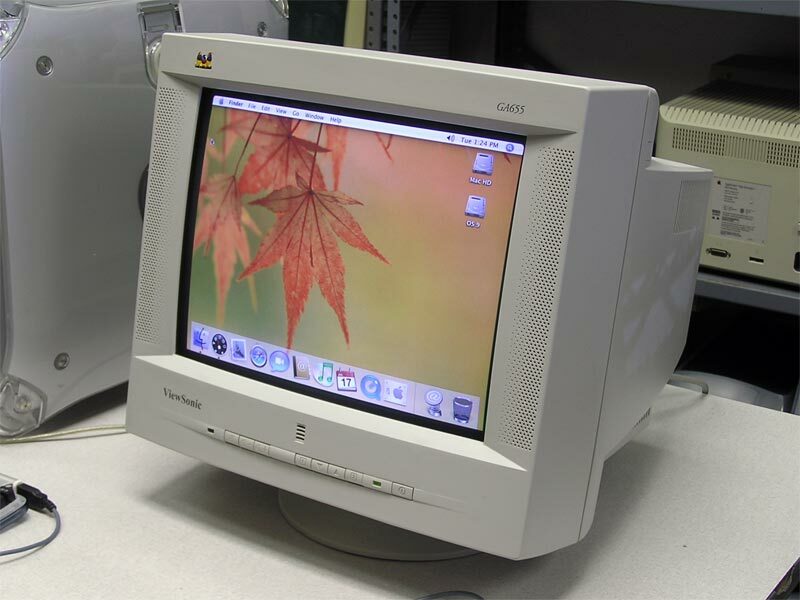 This Display is in excellent condition, for a picture of the screen in action, see the Power Mac 7200 listed here. 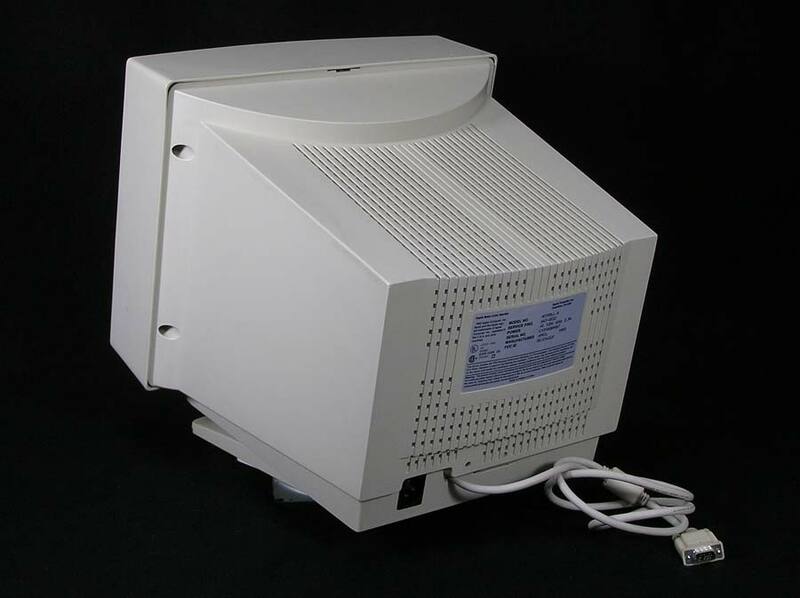 Apple Presentation System, M2895LL/A is a Computer to TV Scan Converter made by Focus Enhancements. 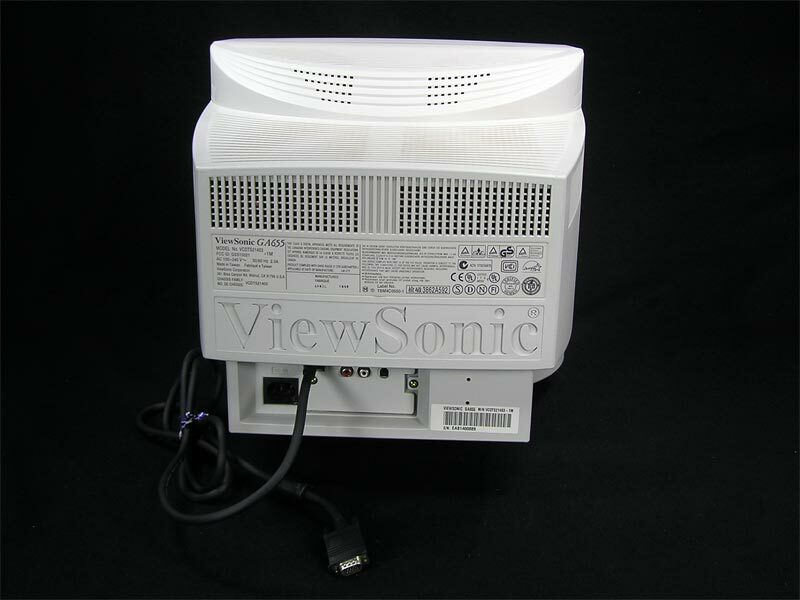 This LTV Portable Pro converter lets you display your Mac screen on a TV, VCR or projector capable of NTSC. It can be used instead of or in conjunction with a monitor. 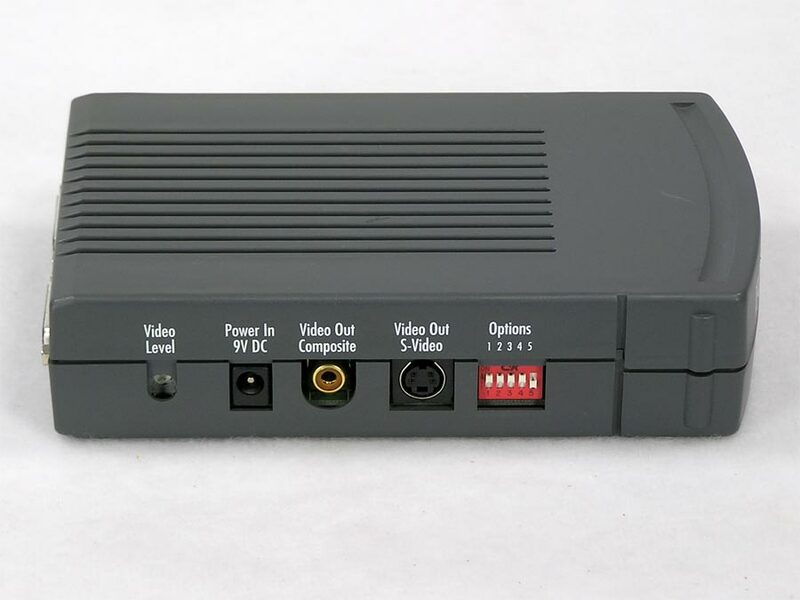 Video out from the converter to TV/VCR is Composite (RCA jack) or S-Video. 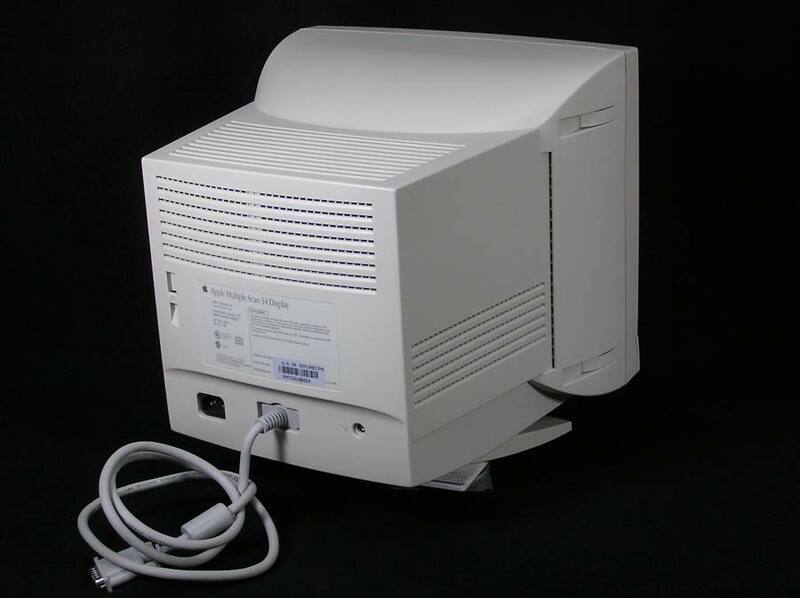 Requirements from the LTV manual - Macintosh: A computer with an external display connector for attaching an external monitor. 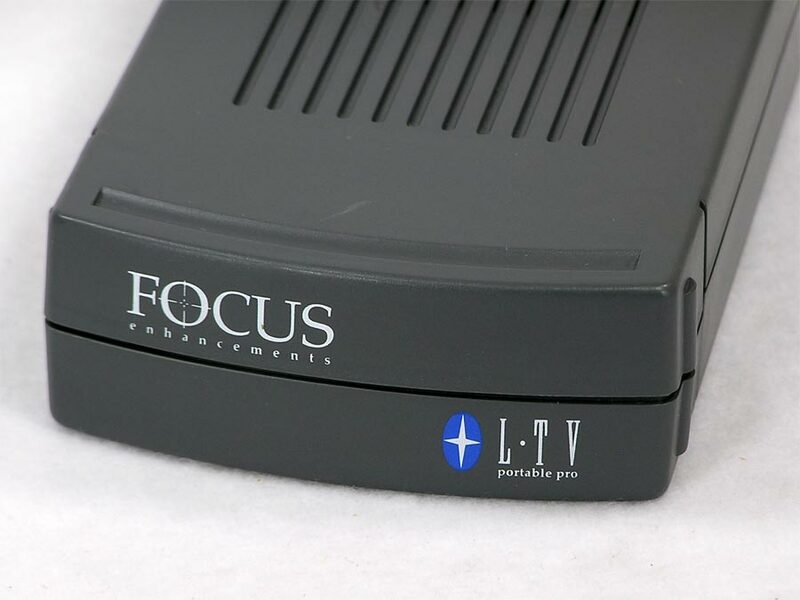 L•TV Portable Pro will work with all Macintosh display cards and on-board video with the exception of the Mac IIci on-board video. 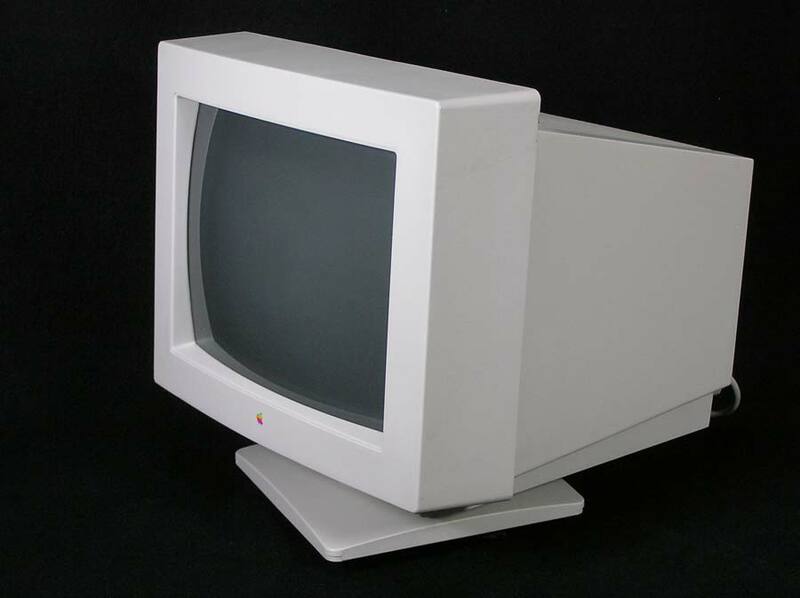 In order to see the output on both the computer monitor and TV simultaneously, you'll need to be using an Apple 12", 13", or 14" monitor. 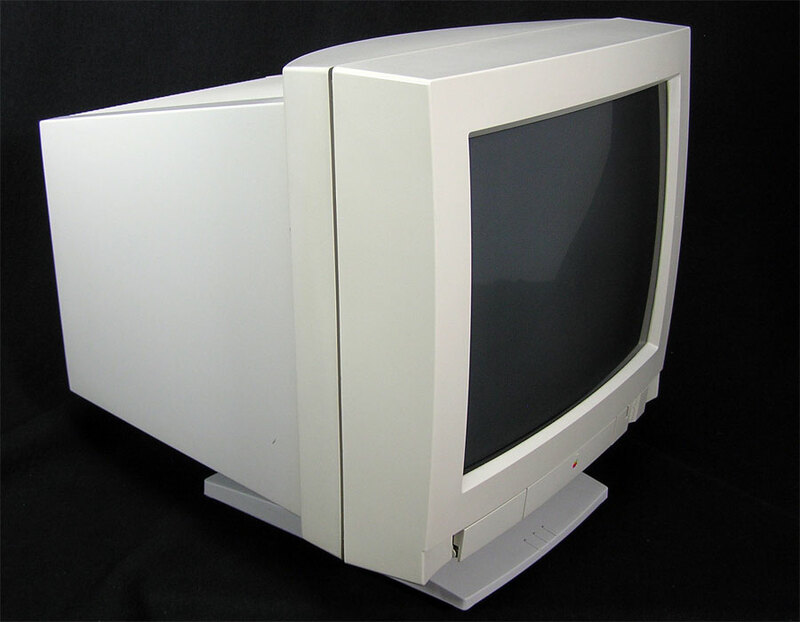 If your monitor is larger than 14 inches, it must be a multisync, capable of running at various frequencies. Included with this Mac to TV converter is a power adapter and Video In from Mac cable (DB15 male on both ends). The LTV Portable Pro manual is available on the internet, or I can email it with purchase. 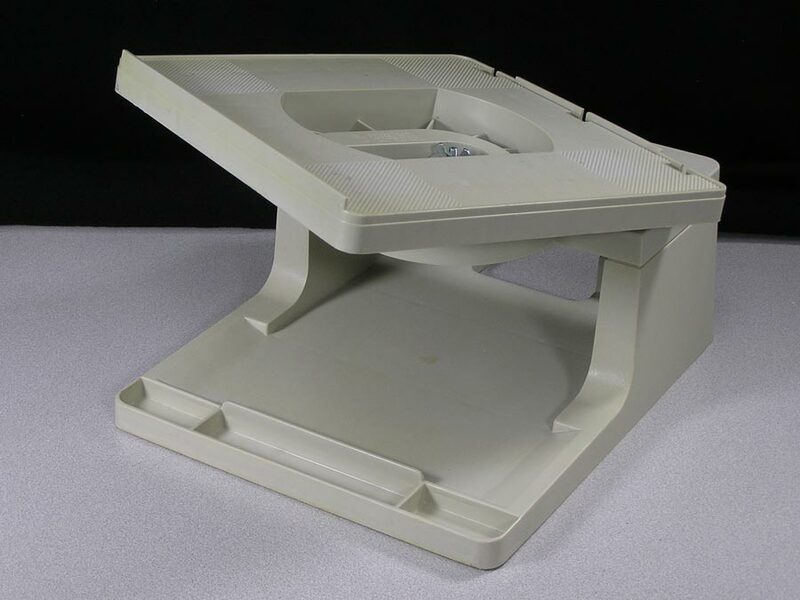 Apple Universal Monitor Stand, M0403. 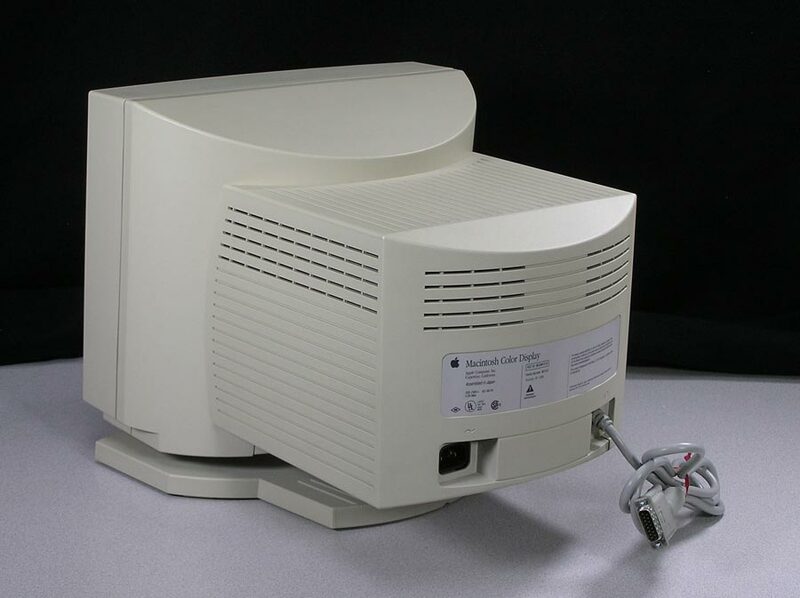 There is not a lot of documentation available, but it is from the Macintosh II to LC era and made to match the computers and the monitors that were meant to sit directly on the computer. 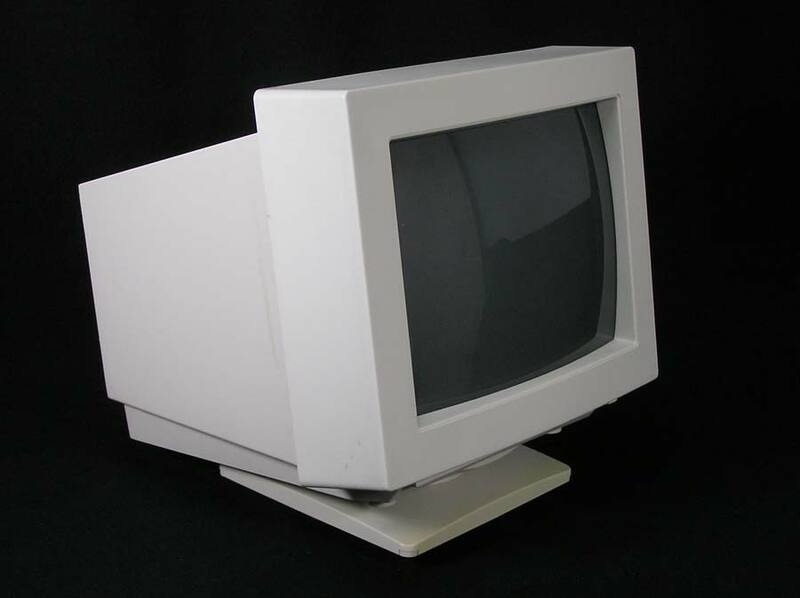 A removable square insert in the stand can be flipped to utilize the weight distribution depending on which monitor is used with it. There are several in stock and most have little to no discoloration. 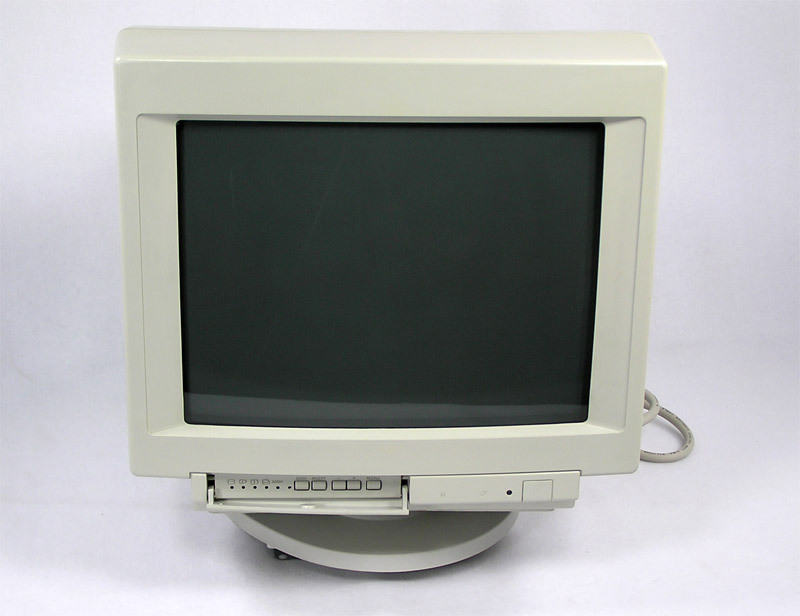 These monitors (some unconfirmed) have the matching horizontal case lines, and have a circular indent on the bottom or a round piece that could be removed to use on this stand. Here is a link to the brochure at 1000 Bit. 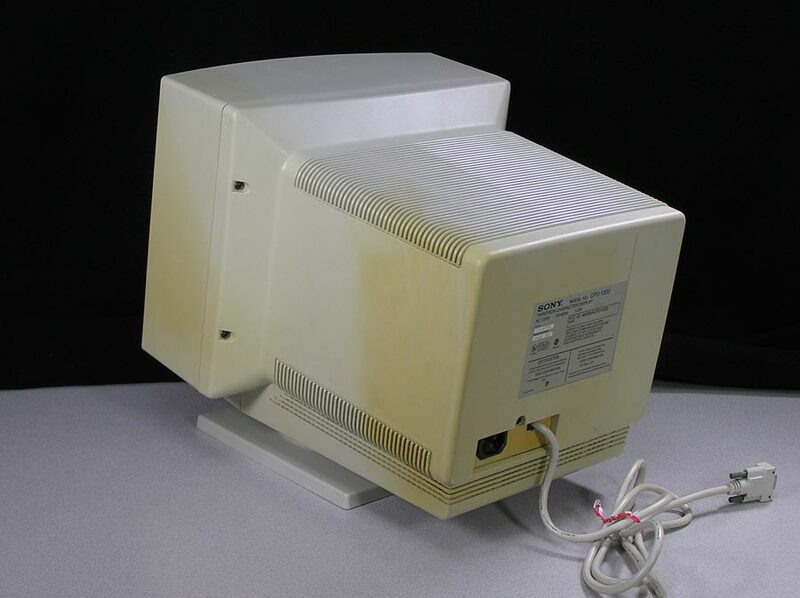 The first color Macintosh display! 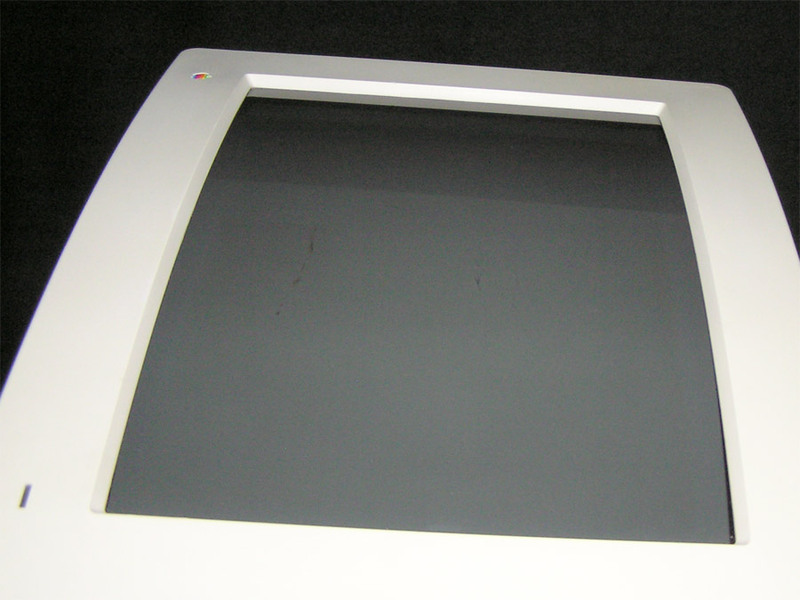 The AppleColor High-Resolution RGB Monitor, Model M0401 (Rev A) or M1297 (Rev B), was introduced with the Macintosh II. 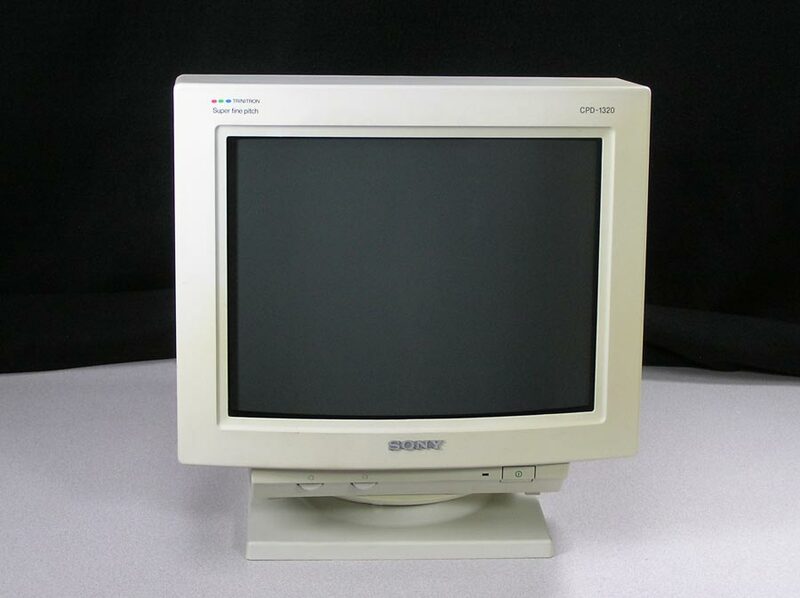 This 13" Triniton monitor has a fixed resolution of 640 x 480. 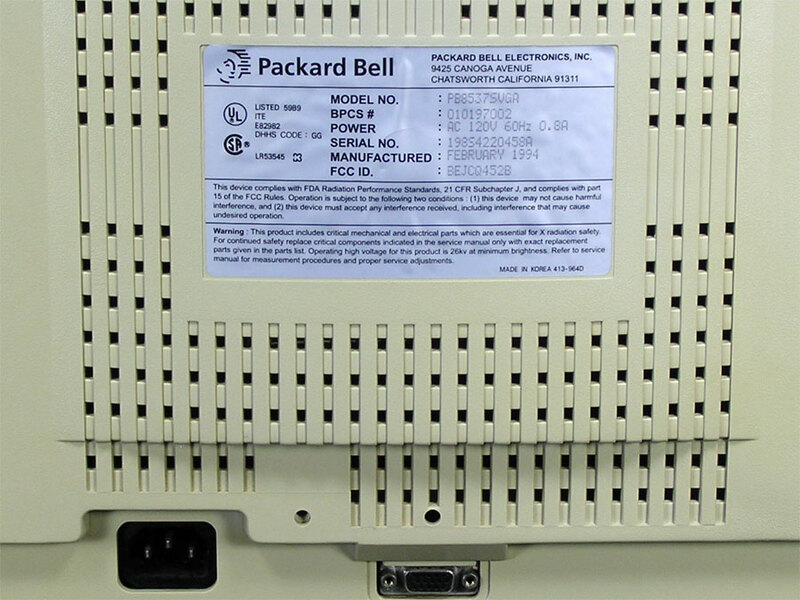 The back features the power and degauss buttons. The brightness and contrast buttons are on the right side. 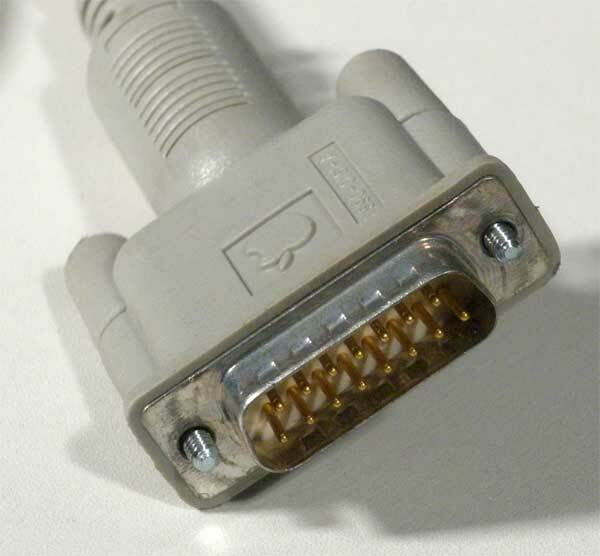 The monitor uses the standard Macintosh DB-15 video connector, and while not pictured, the cable is included. 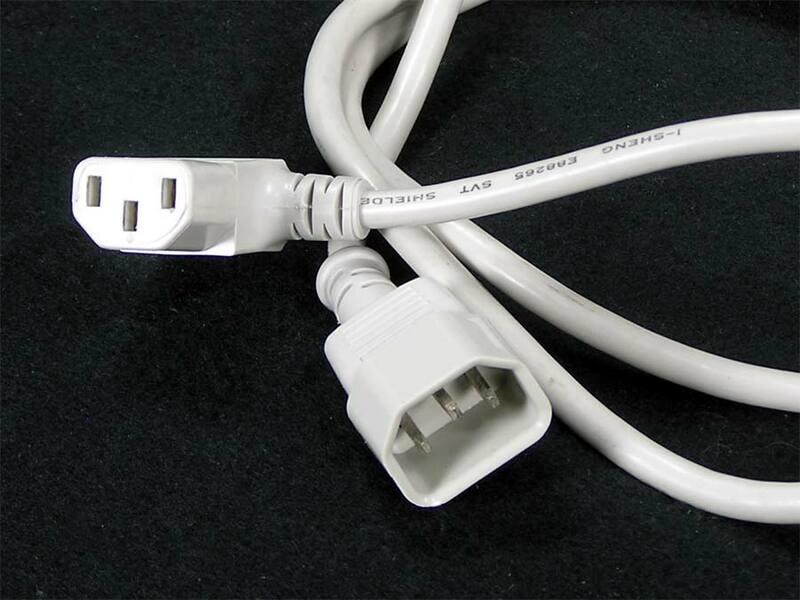 Standard power cable is not included, but free by request - leave a note on the checkout page. 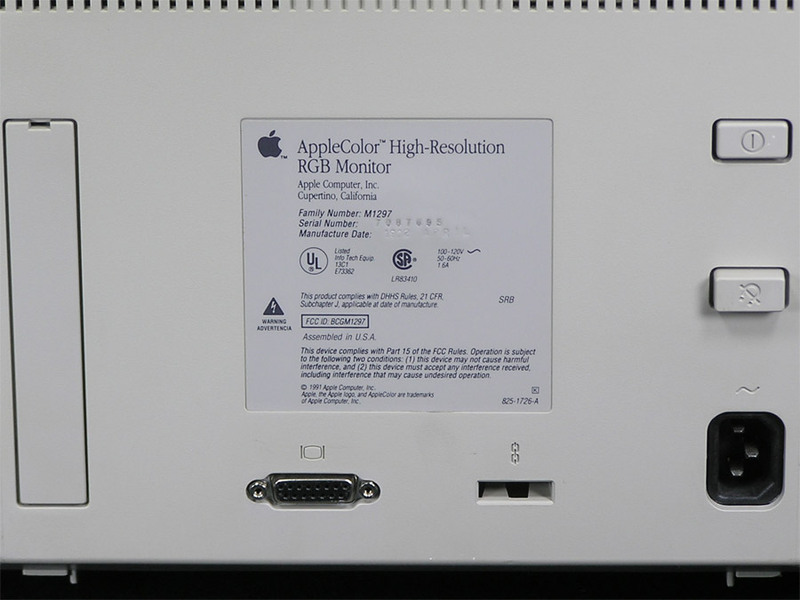 This AppleColor High-Resolution RGB Monitor for the Macintosh looks and sounds similar to the AppleColor RGB Monitor for the Apple IIGS. 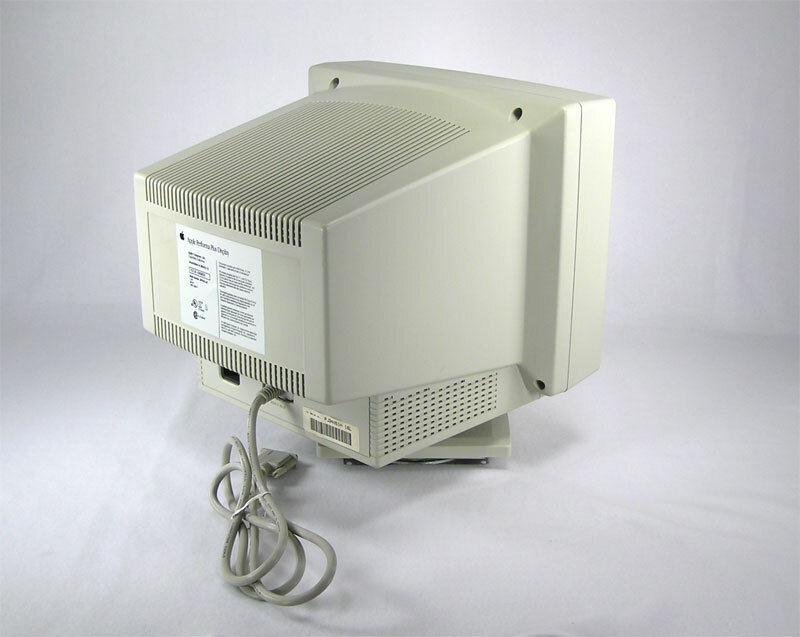 The Macintosh monitor is larger and they ARE NOT interchangeable. 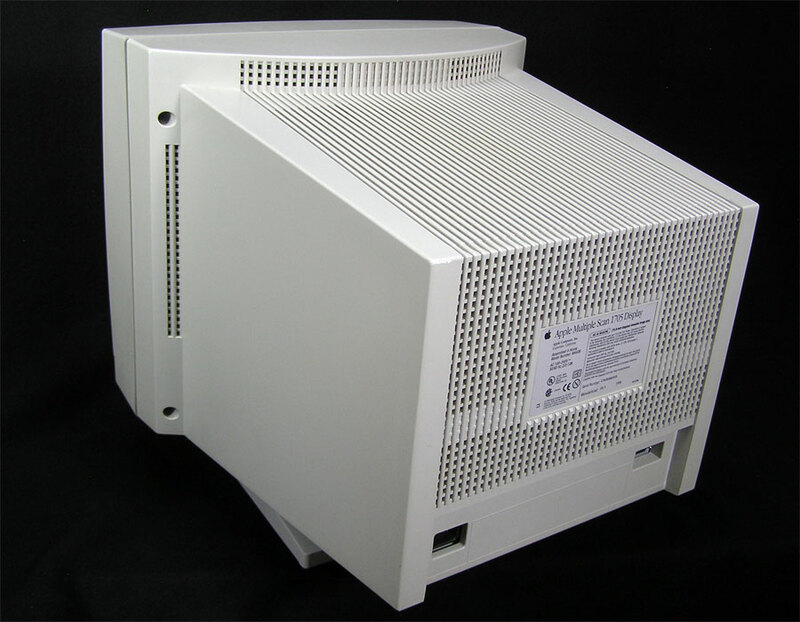 There are several of these monitors in stock in varying condition. ***Photos are for illustration purposes only and are NOT the monitor you may receive*** Second to last photo above is from a different monitor and show what is meant by corner cracks, very common with this monitor. Last photo is of monitor with scratched screen - there are 3 scratches total. These monitors may be missing feet and may be missing the height adjustment bar, but all have a nice picture. All will have scuffs or marks and minor scratches or dents. 1) 7132219 (M1297). Screen looks great. Has feet, no height adjustment bar. Severe discoloration. Sm crack in the upper r front of the rear housing. 2) 5529569 (M0401). Screen looks great. Looks nice with no to light discoloration. One of two feet. No height adjustment bar. 3) 5252753 (M0401). Screen looks great. Probably medium overall discloration, a sticker was removed from the top, and it has some lighter bands around the sides where a Kensington anti -glare filter was. Non original feet, no height adjustment bar. Round case piece missing - center bottom for optional stand. 4) 7022981 (M0401). Screen looks great and display sits a little towards the right side. No feet, no height adjustment bar. Light to Medium discoloration. 5) 7058862 (M0401). Screen looks great. No feet, no height adjustment bar. May have no or Light discoloration. Crack in lower right front of case by screen. 6) 5527927 (M0401). Screen looks great. No feet, no height adjustment bar. Medium discoloration. 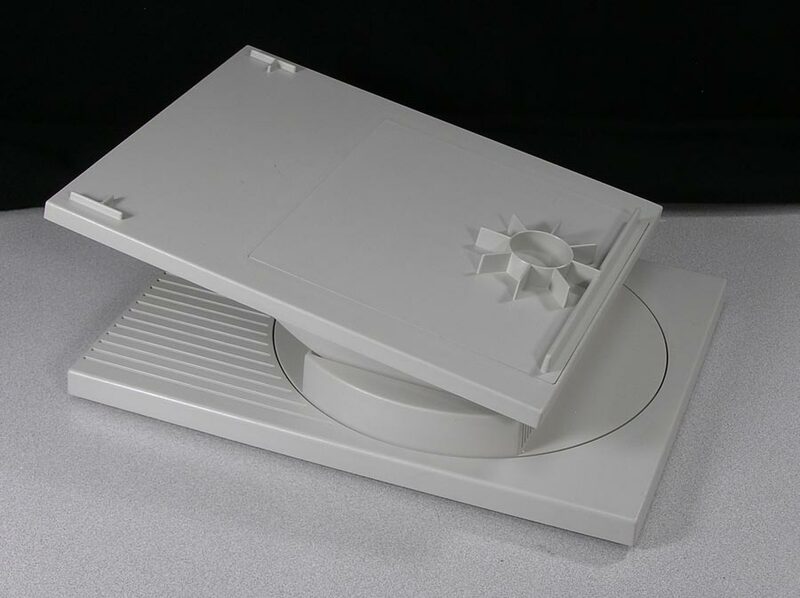 Round case piece missing - center bottom for optional stand. 7) 7061623 (M1297). Screen looks great. Has feet and height adjustment bar. Rear housing has been changed, so the right side of the front housing is pretty orange and the rear housing is light. The rest is more evenly colored, probably Medium. 8) 5129279 (M0401). Display looks great, but screen has scratches. No feet, no height adjustment bar. Light to Medium discoloration. 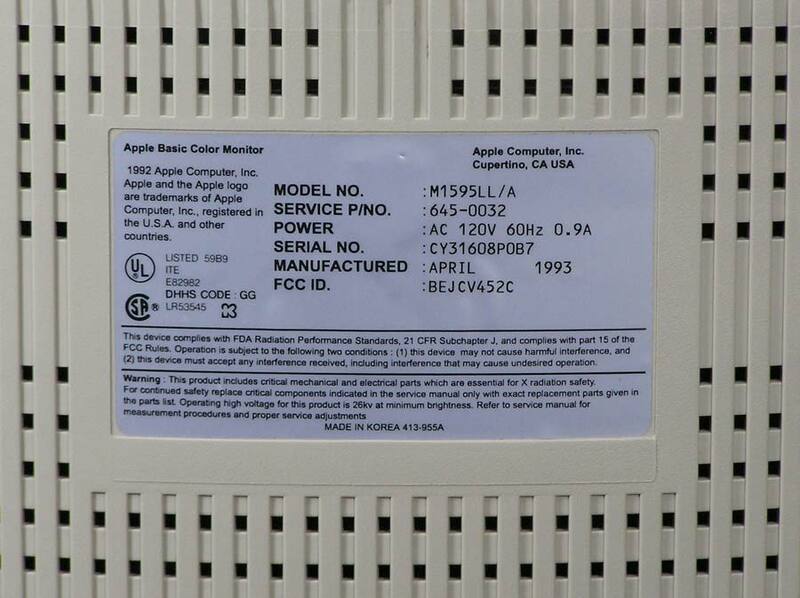 Apple sticker on side. 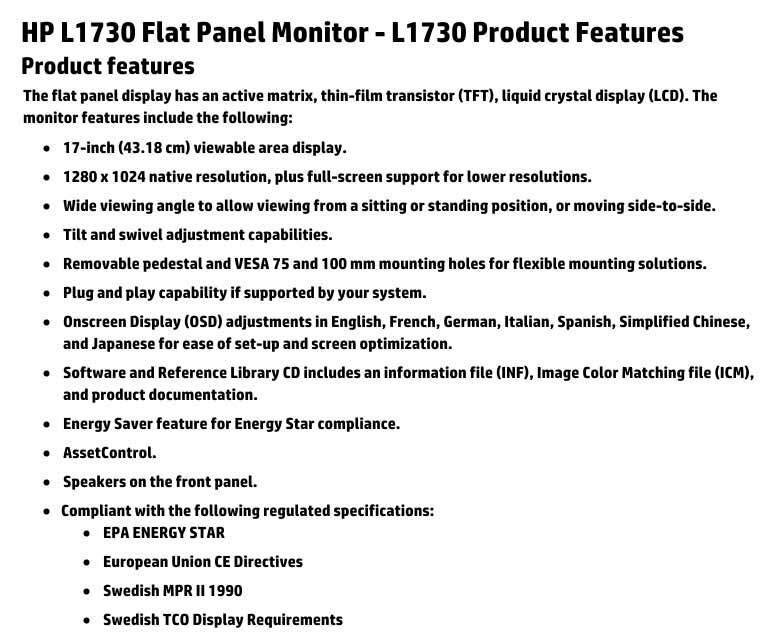 This HP 1730, 17" Flat Panel Monitor has an active matrix LCD display, with a 1280 x 1024 resolution. 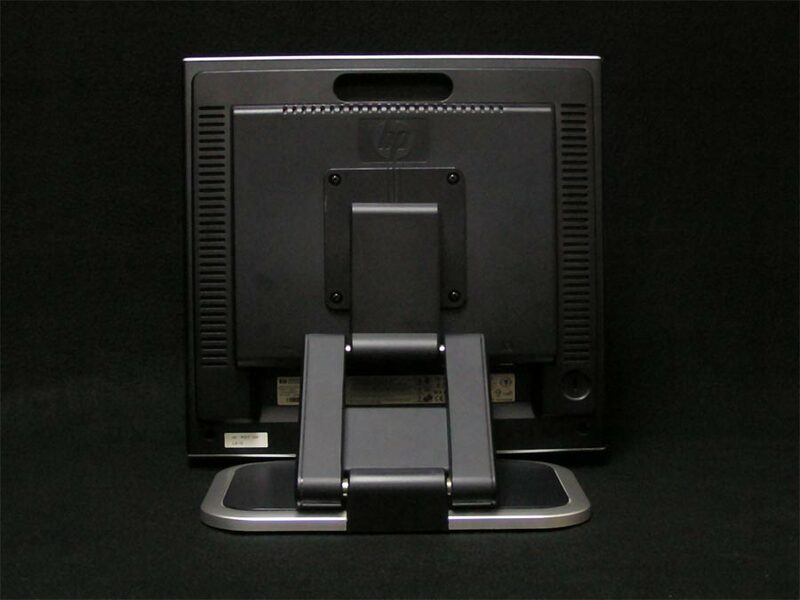 Tilt and swivel stand. 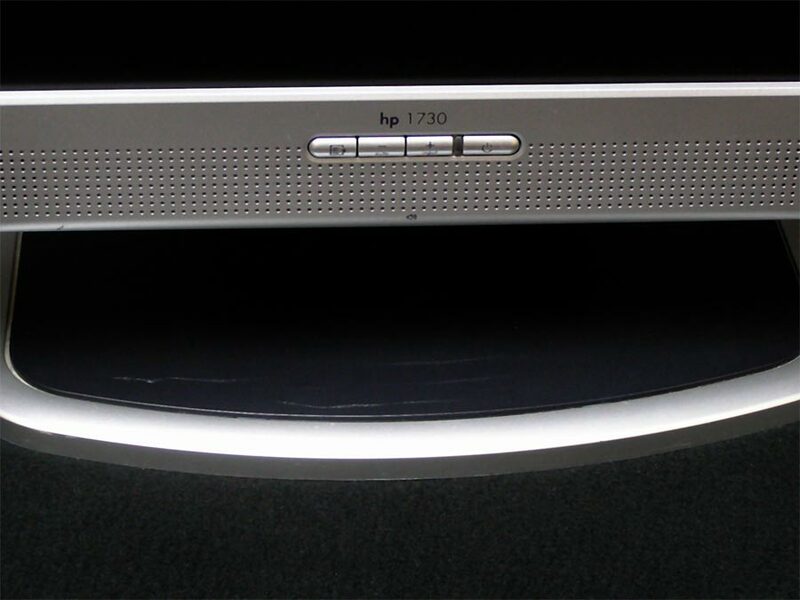 Speakers on the front panel. 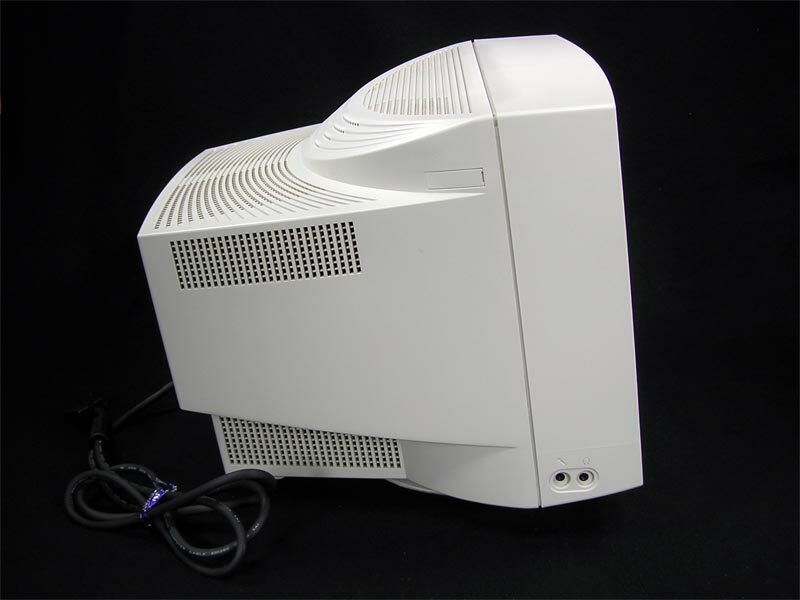 Has VGA and DVI ports. 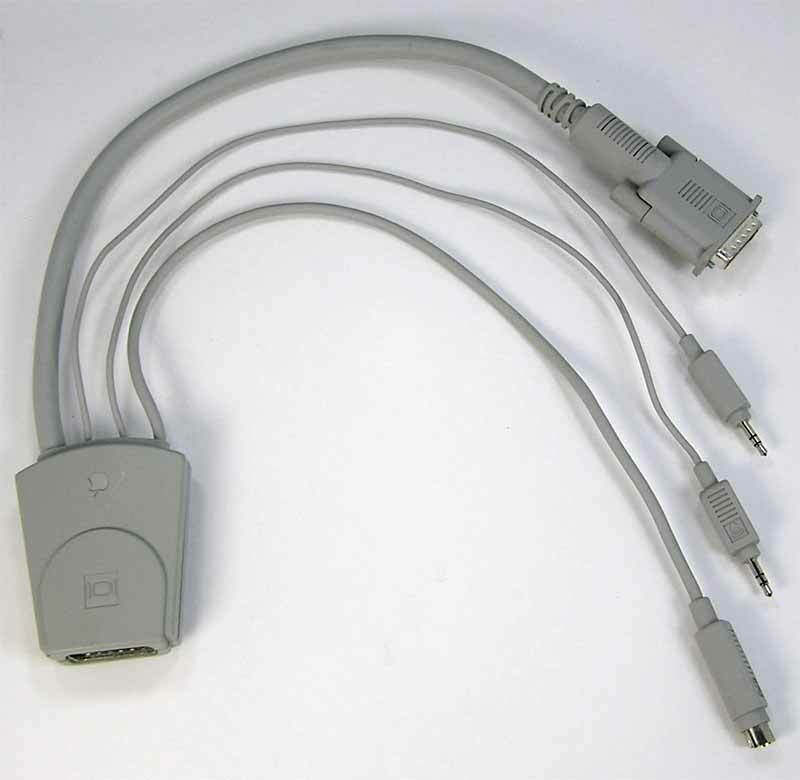 Included are the power cable and VGA cable. The User Manual is found here. And the specs were obtained from HP. Speakers were not tested. There are minor scuffs on the back, some scratches on the front of the base and a scratch on the left front bottom under speaker. Screen looks great! 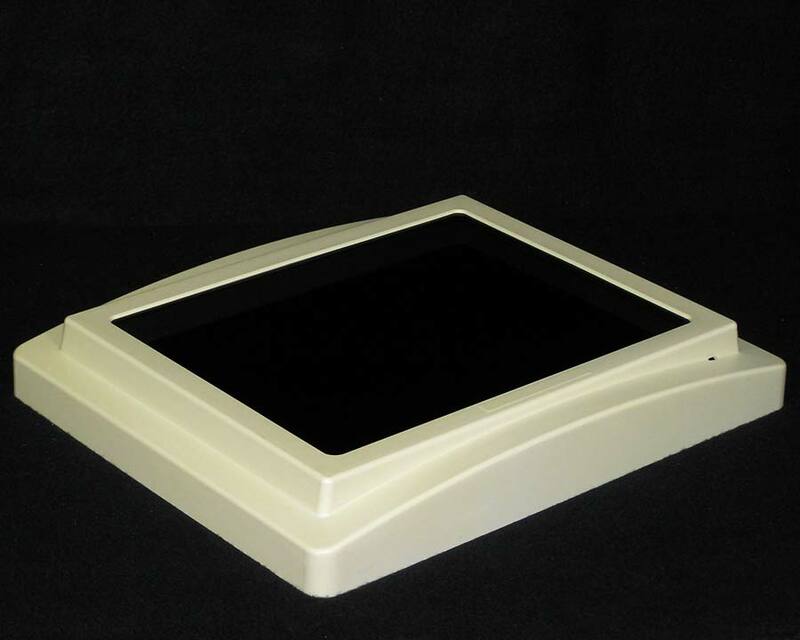 Made by Kensington for the 13" AppleColor High-Resolution RGB Monitor, Model M0401 or M1297. Slides over the front of the monitor. Screen looks good. The frame show some discoloration. 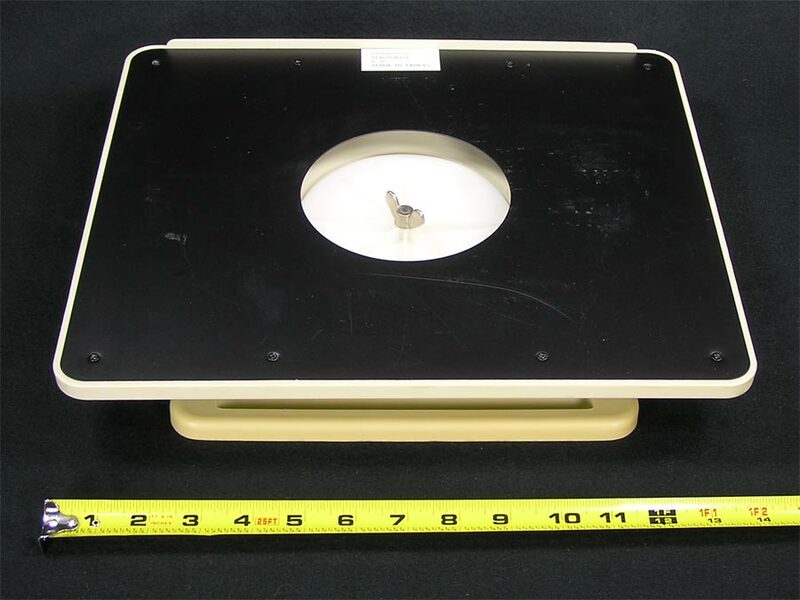 For a 13 1/2" x 11" monitor face. 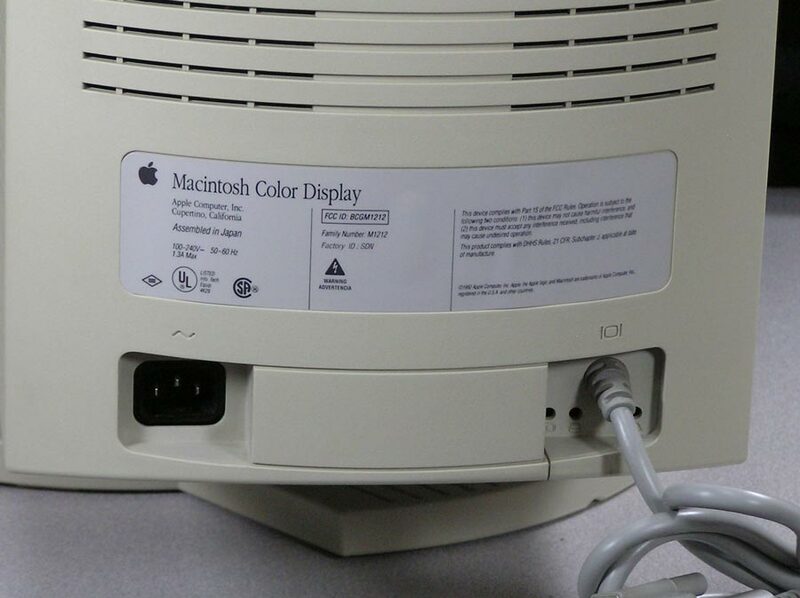 Apple Macintosh Color Display, M1212. 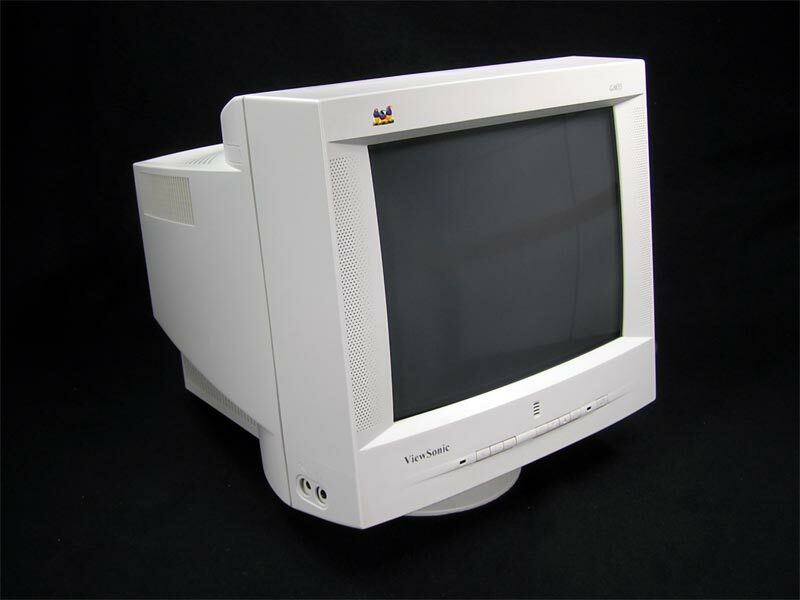 Released with the IIvi and IIvx, this 14" display has a fixed 640 x 480 resolution. 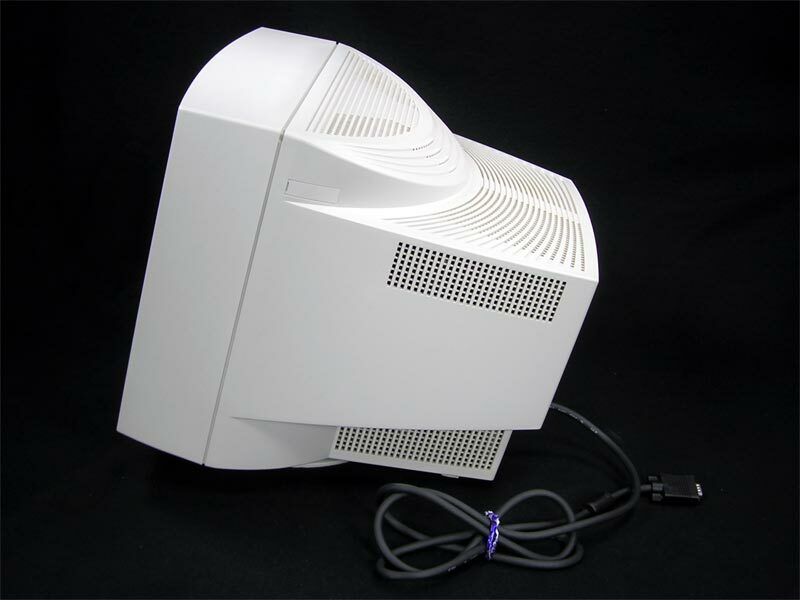 Built in DB-15 monitor cable attaches to the Macintosh monitor port or video card. 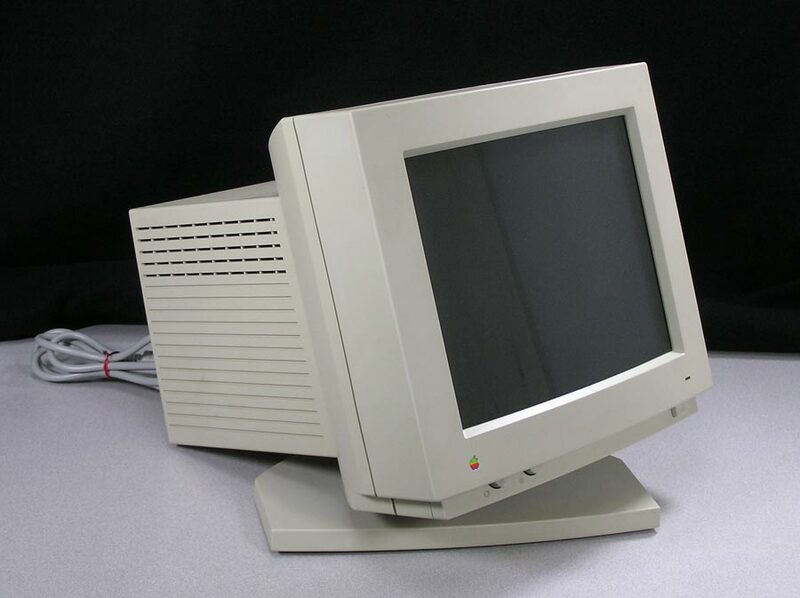 Should work with all Macs from the Macintosh II through the Beige G3. This display looks and works great! Light discoloration overall. Of course there may be minor scuffs or scratches on the housing, but nothing major. Power cable available on request. 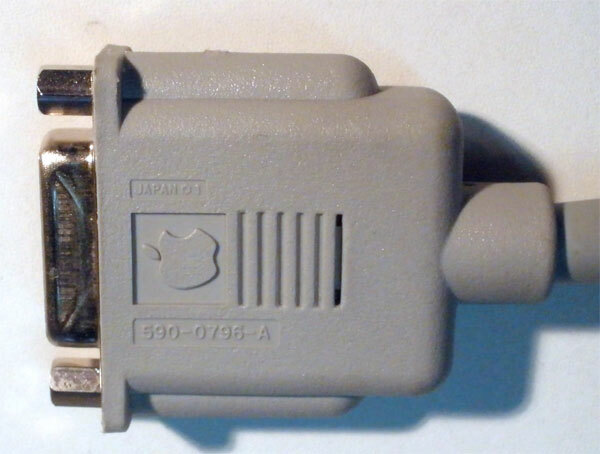 This cable is used to connect the Macintosh computer to most Apple monitors such as the AppleColor High-Resolution RGB Monitor and the Apple Hi-Res Monochrome Monitor. DB-15 Male connections on both ends. 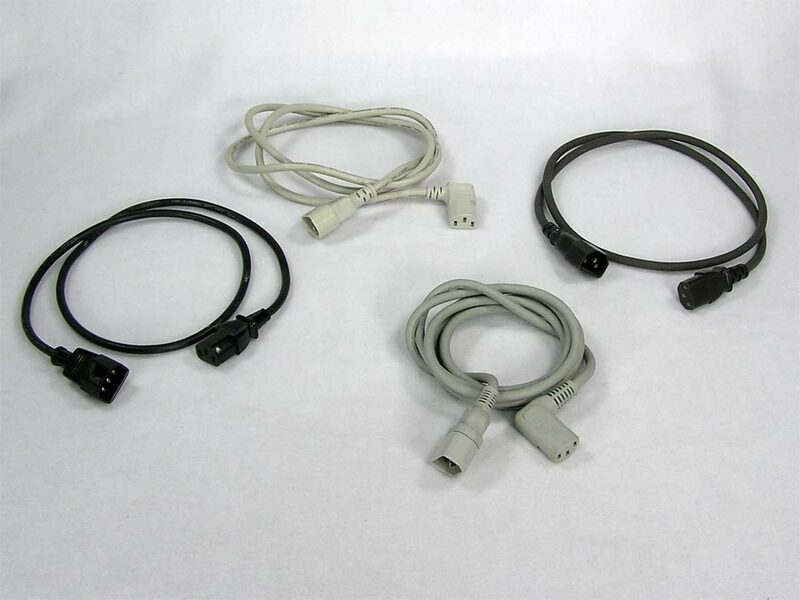 3rd party cables also available new and used. 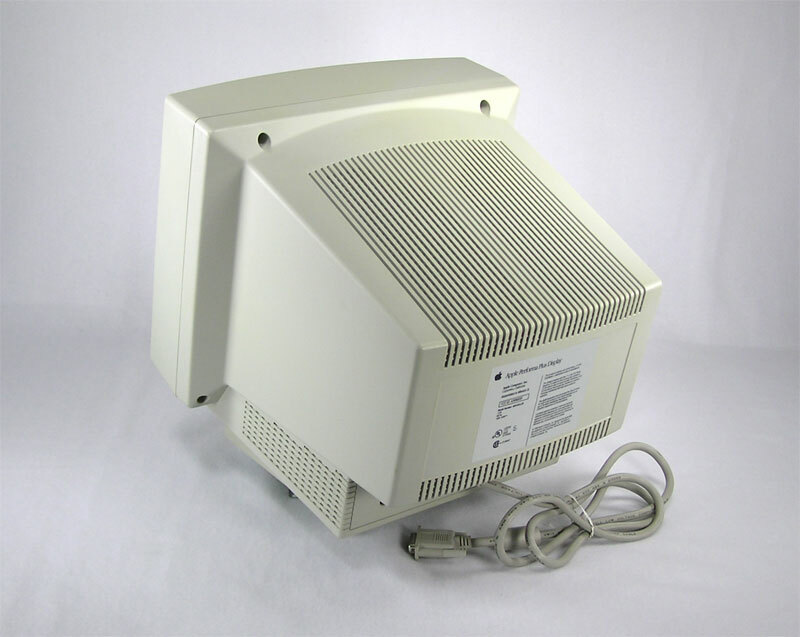 Hooded or shrouded power cables are usually used on a monitor. One end pugs into the monitor, the other end gets power from the computer. 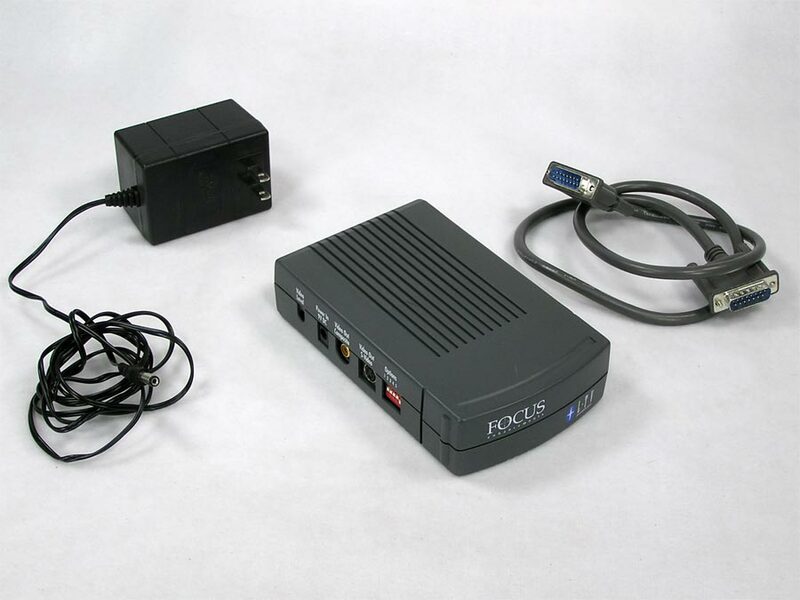 Usable on any computer with power in and power out ports. Available with a straight plug or with an elbow or angled end. Color and length will vary. Free if you need one for your computer, monitor, printer or external hard drive purchase. 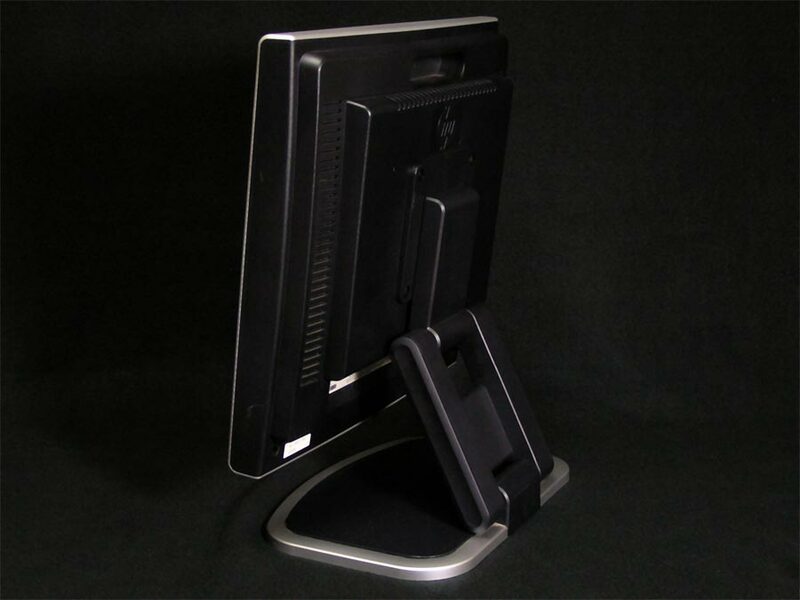 Made for just about any monitor or crt display, these stands let you add tilt and swivel! The large stand platform is 14" wide and 12" deep, the other two are 11" wide and 10" deep. New addition - select Tall below. 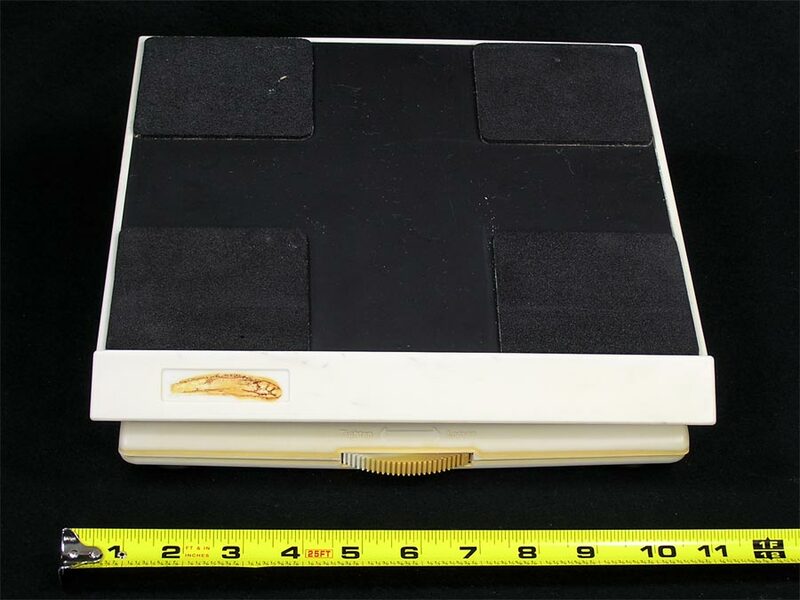 This stand is is about 8" tall, and the platform is approx 11.5" x 11.5". 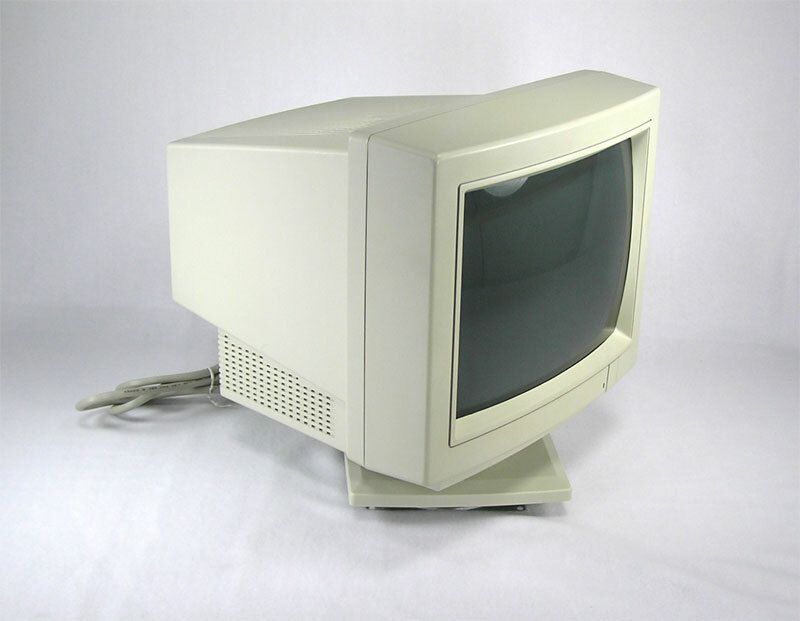 Please Select: -- Please Select -- Tall 11" 14"
Packard Bell 13" CRT Monitor from 1994. 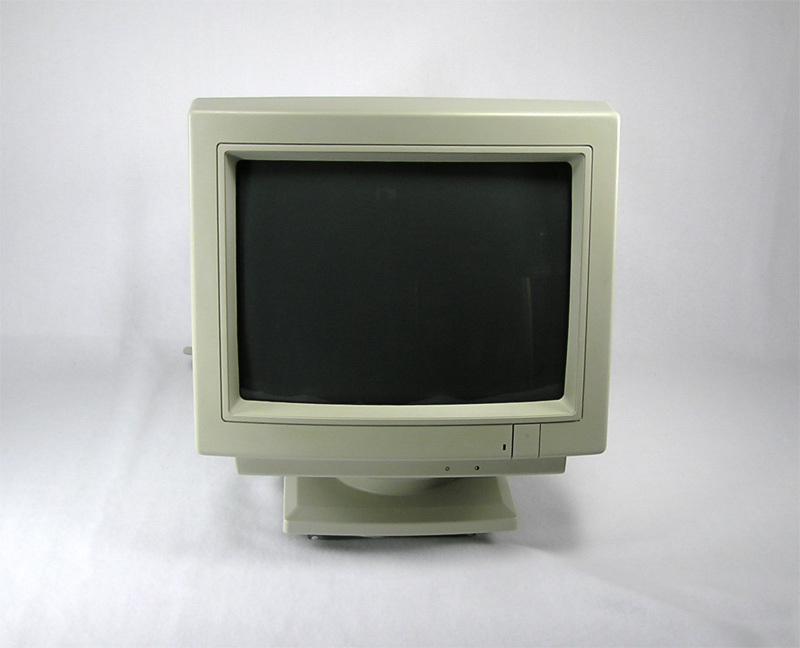 Model PB8537SVGA. 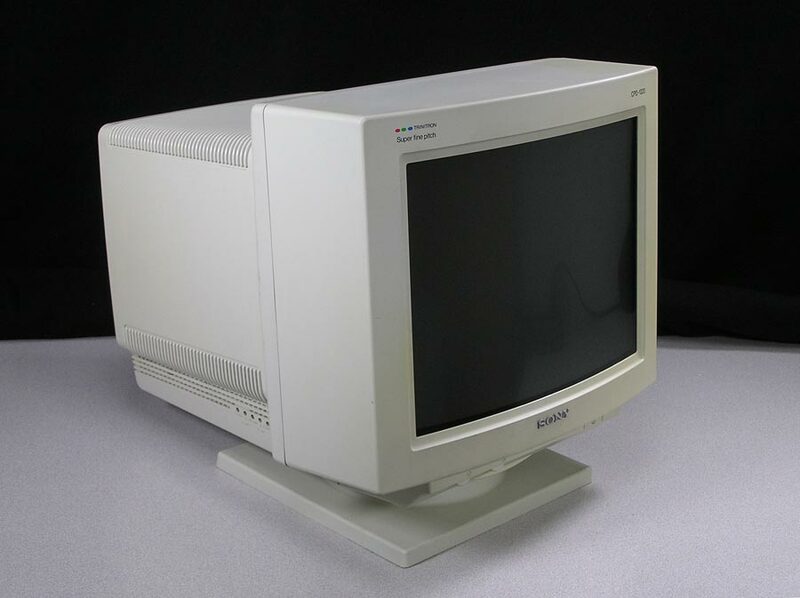 If you're looking for a small color monitor for any computer with a VGA port, this display should fit the bill. 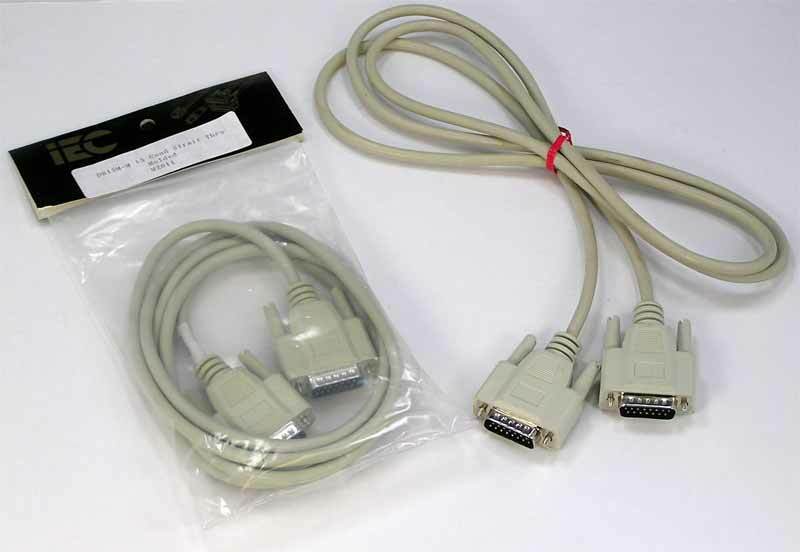 Included are a power cable and an SVGA cable. 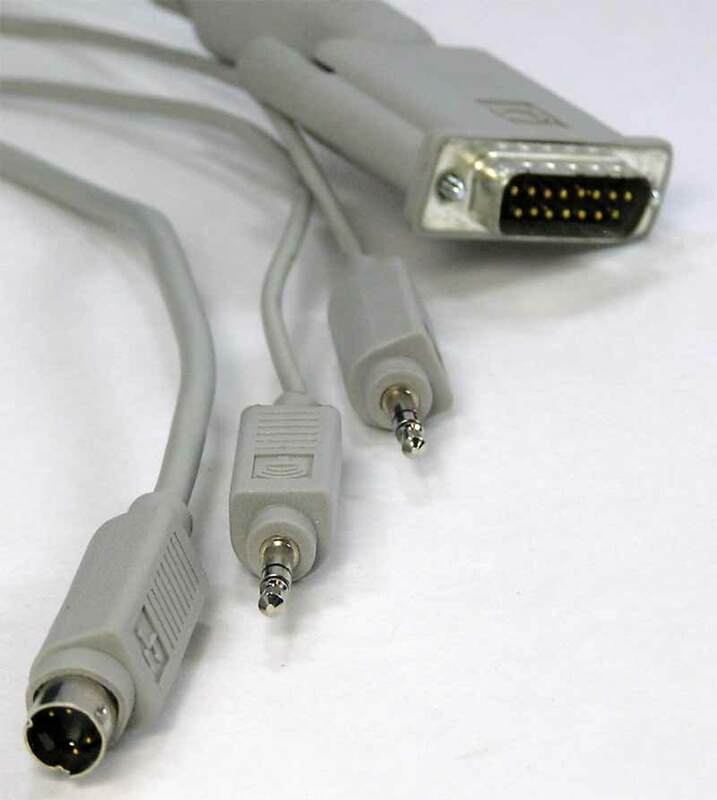 The cable connects to a regular VGA port. 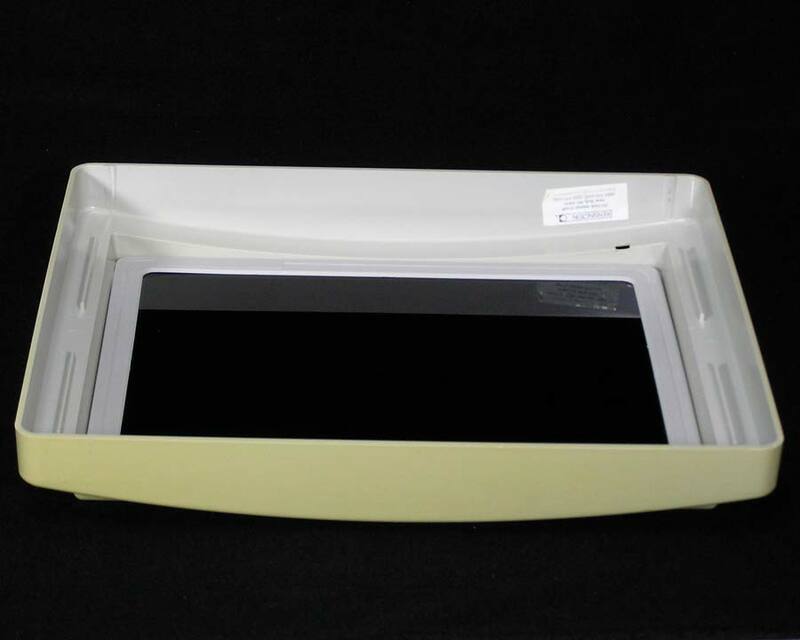 The monitor has some scuffs on the case and is showing some discoloration, especially on the right side. Note that the choices below reflect whether it will be a local pickup or be shipped. With a lot of time and materials spent on packaging of monitors to ensure safe delivery, this is where I add a packaging fee. Shipping charges will be calculated and added at checkout, or with a shipping quote. 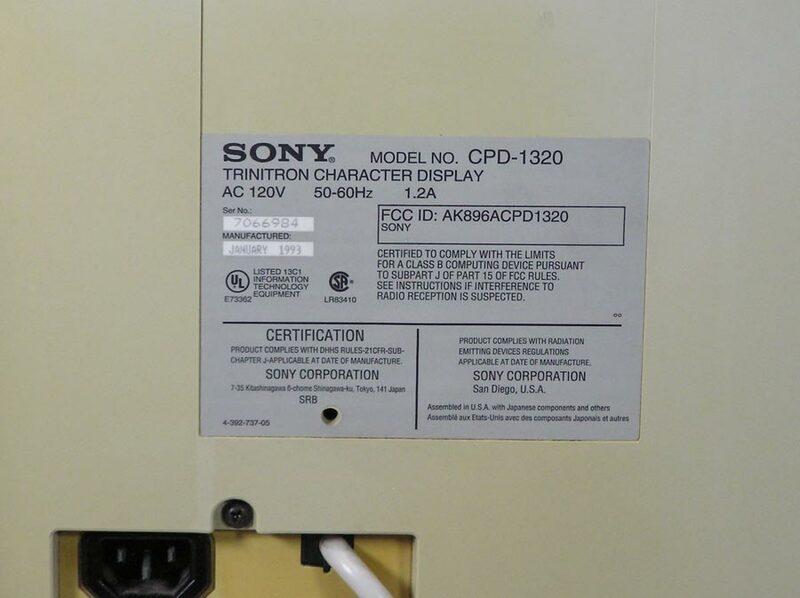 The Sony CPD-1320 is a 13" high resolution character display and uses a Super Fine Pitch Trinitron color tube. 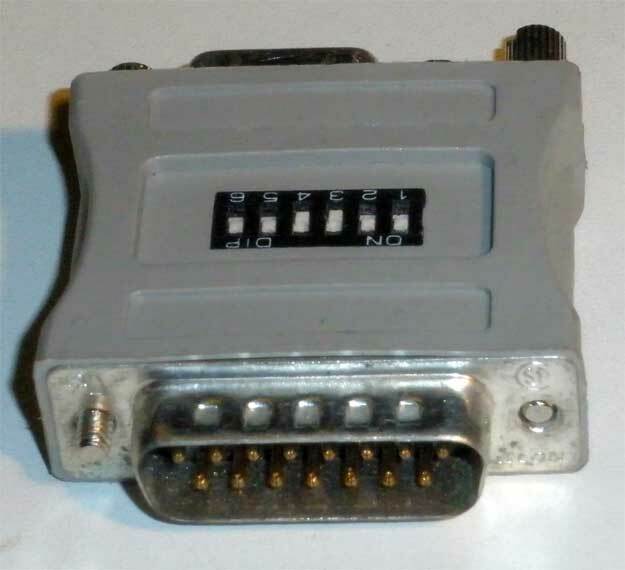 VGA interface. 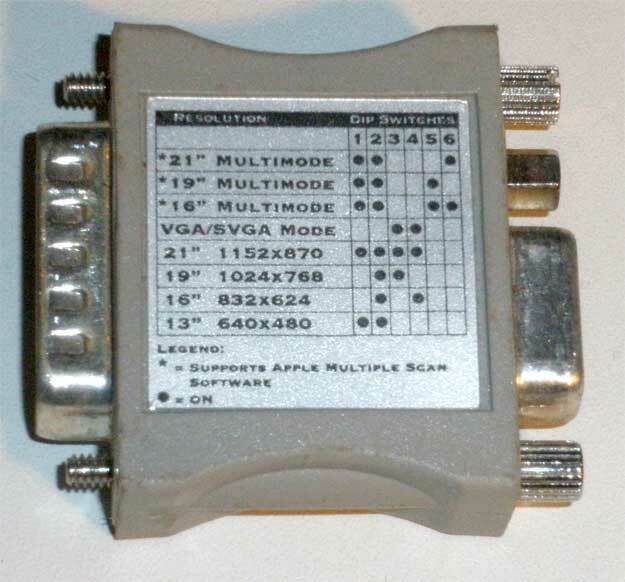 Resolutions of 640 x 480 VGA graphic mode and 720 x 400 text mode. 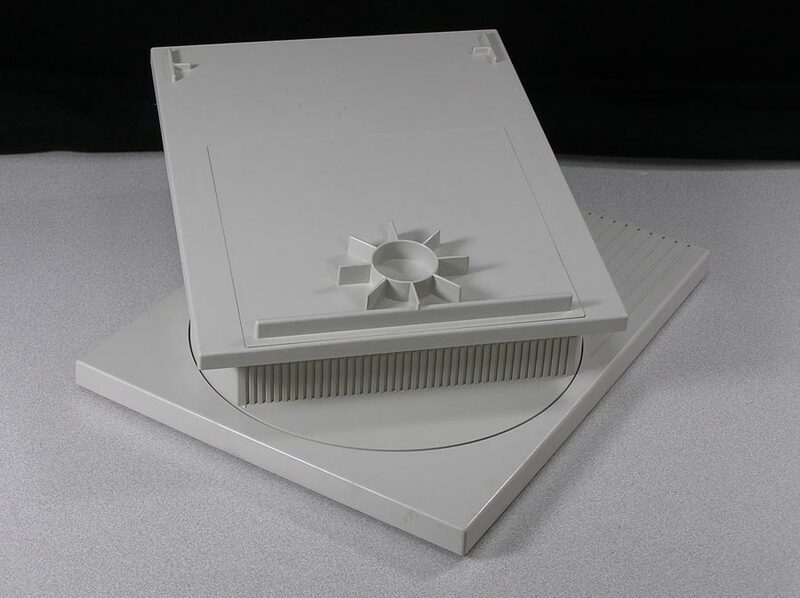 The manual is available from Sony. Tested on a Mac - I did have to fine tune the horizontal and vertical pitches - accessible from the outside with a tool. Monitor has some medium to severe discoloration on the right and back sides. Expect minor scratches, scrapes, etc on the housing, but nothing major. 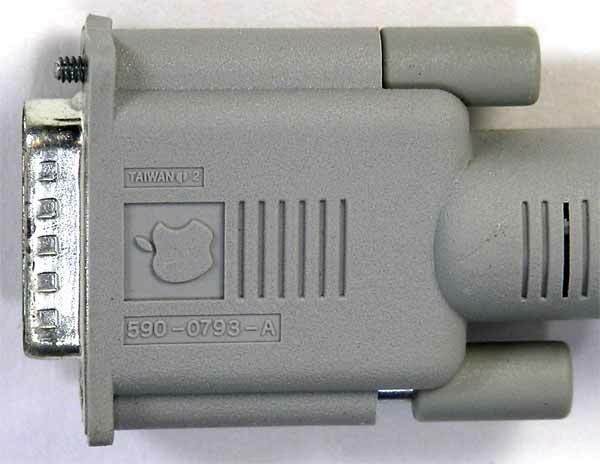 Built in VGA cable. Power cable free upon request. 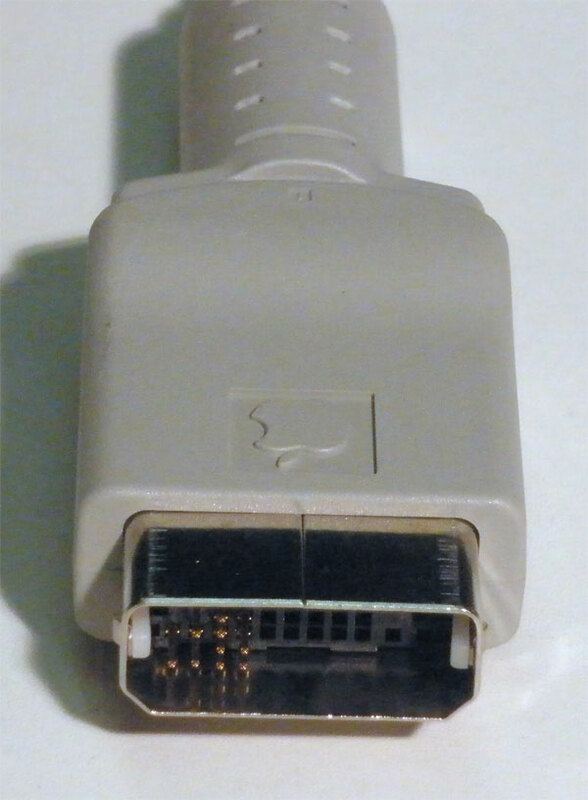 This display adapter is used to connect a standard VGA display to the unique Macintosh monitor port. 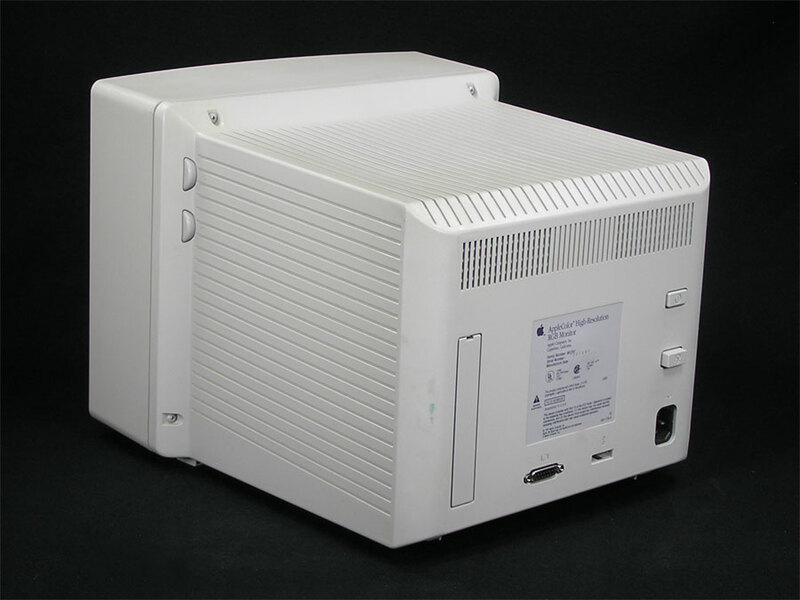 Should work for the Macintosh II all the way to the early G3's. 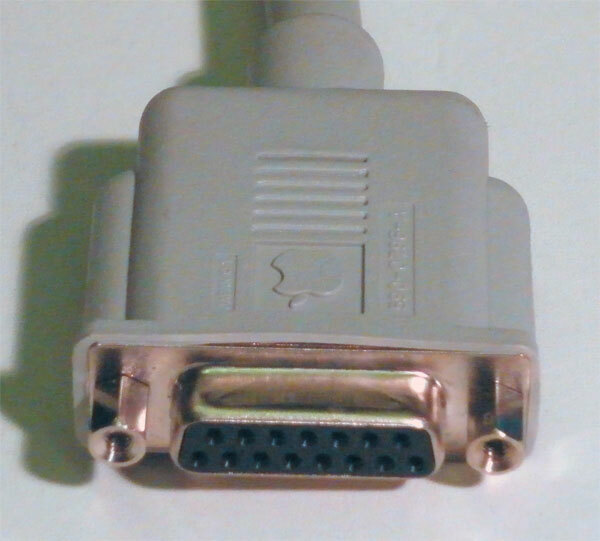 Mac DB-15 Male to VGA 15 Female. Features DIP switches to change settings and has a handy chart on the back. 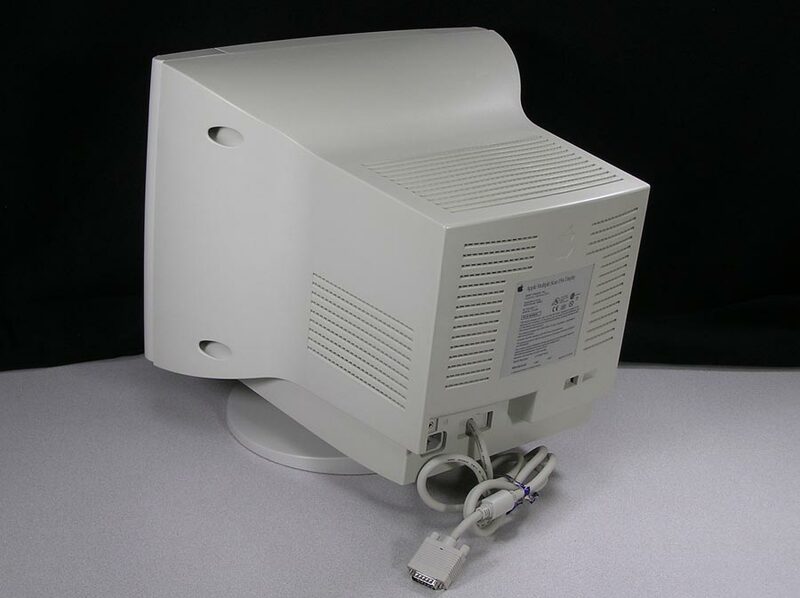 Marketed to both PC and Power Macintosh users, this 15" Viewsonic, Model GA655, has spent it's entire life since 1998 with a Mac. 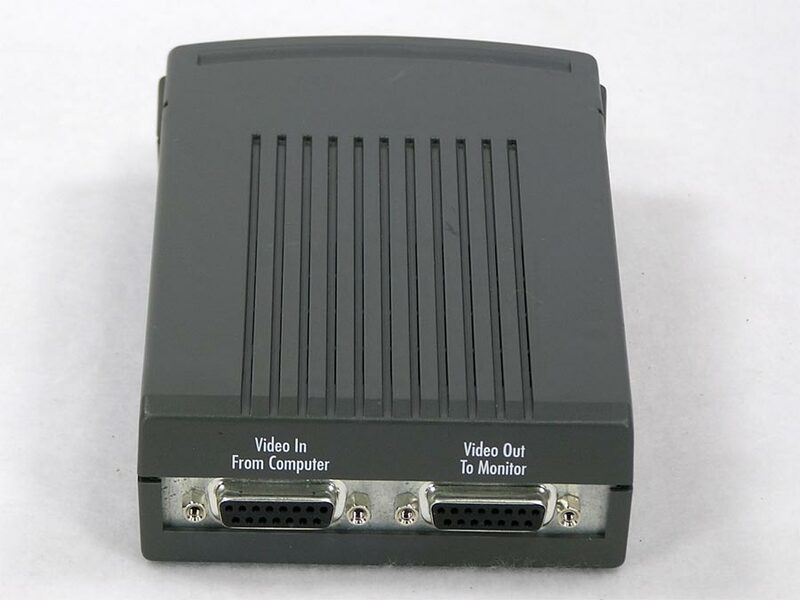 VGA video interface cable, RGB analog, Mac resolution up to 1152 x 870, headphone and microphone ports, front control buttons. 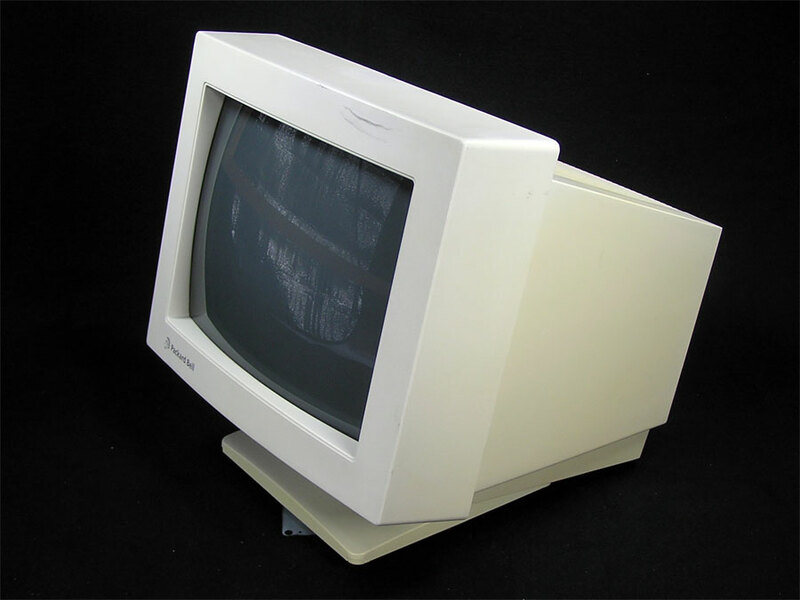 Monitor is in excellent condition. 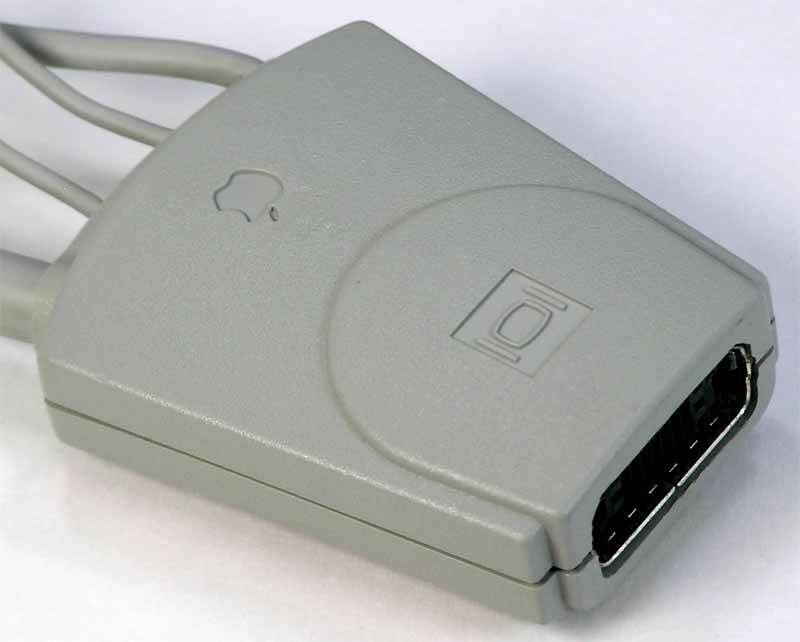 Built in VGA cable. Power Cable not included, but free by request.